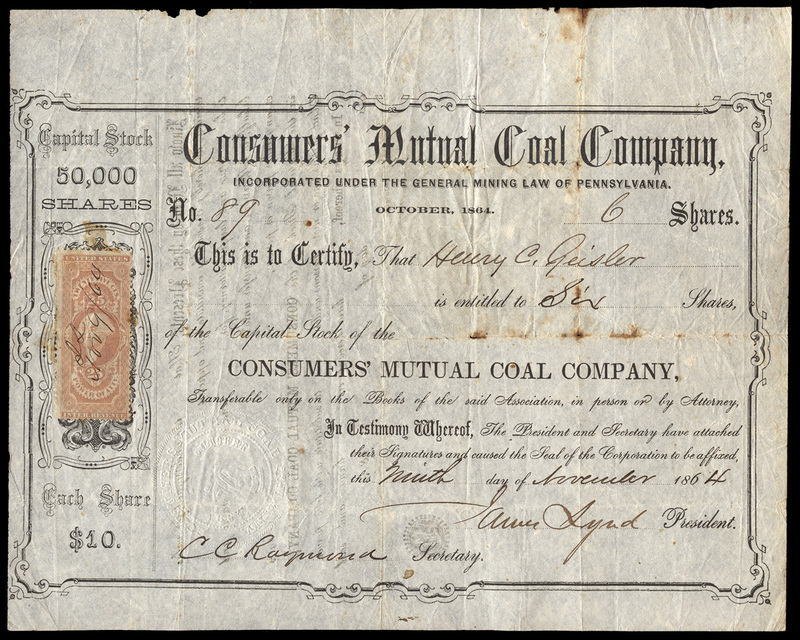 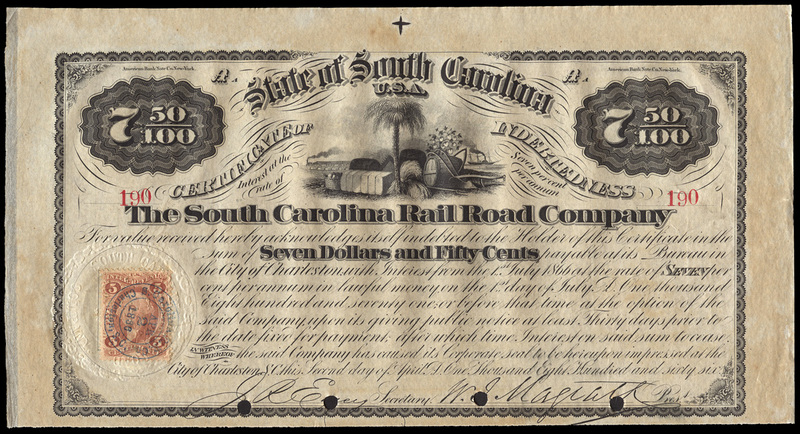 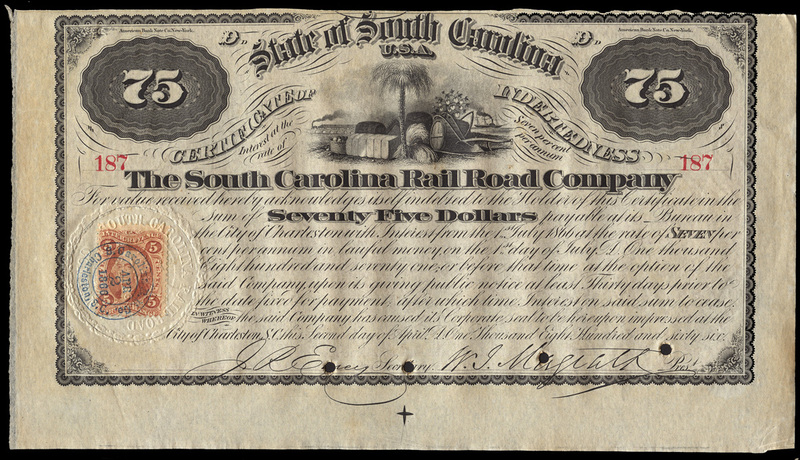 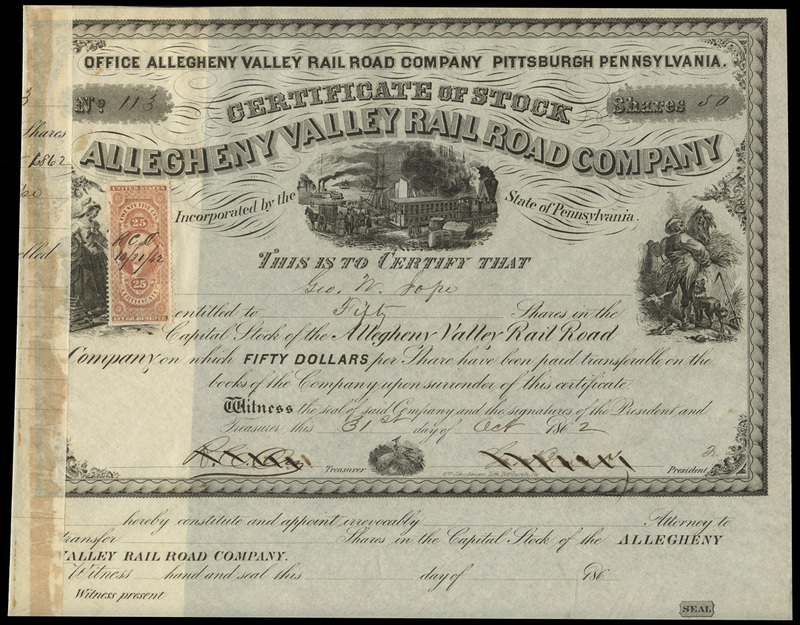 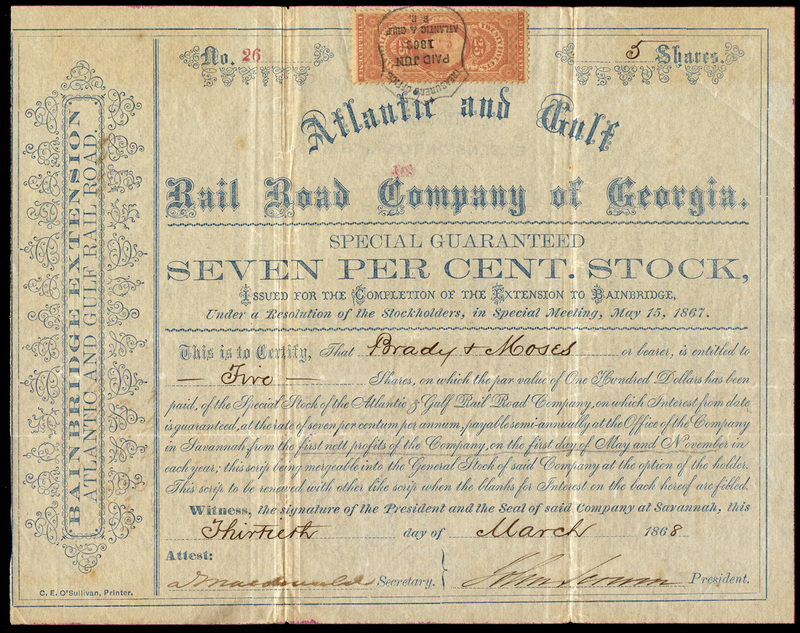 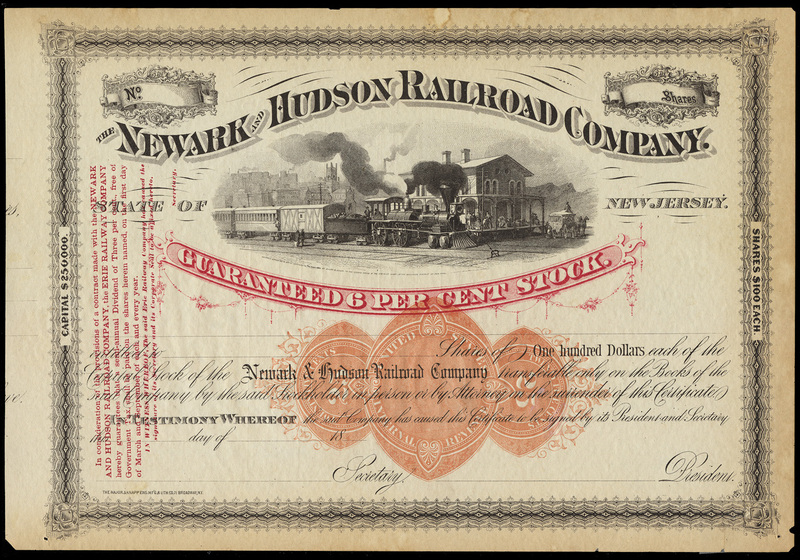 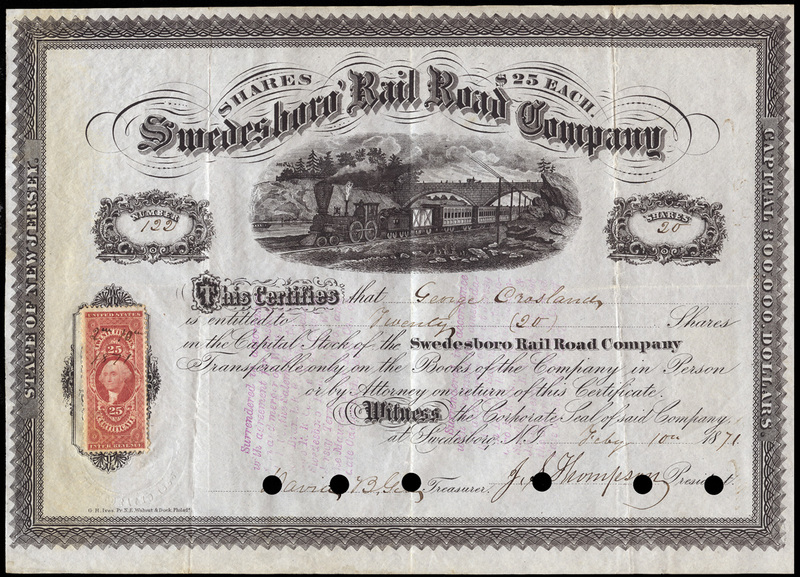 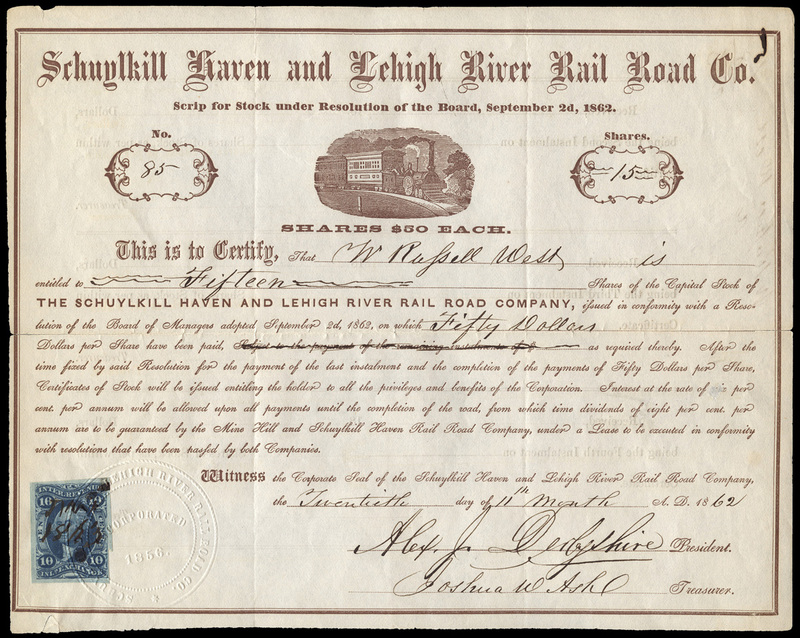 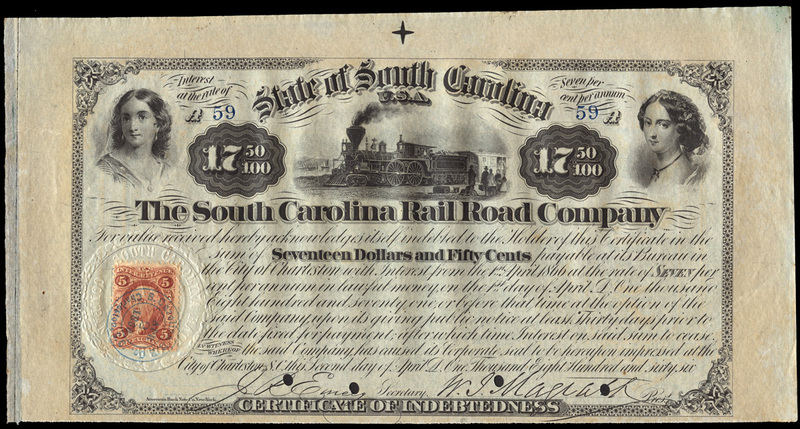 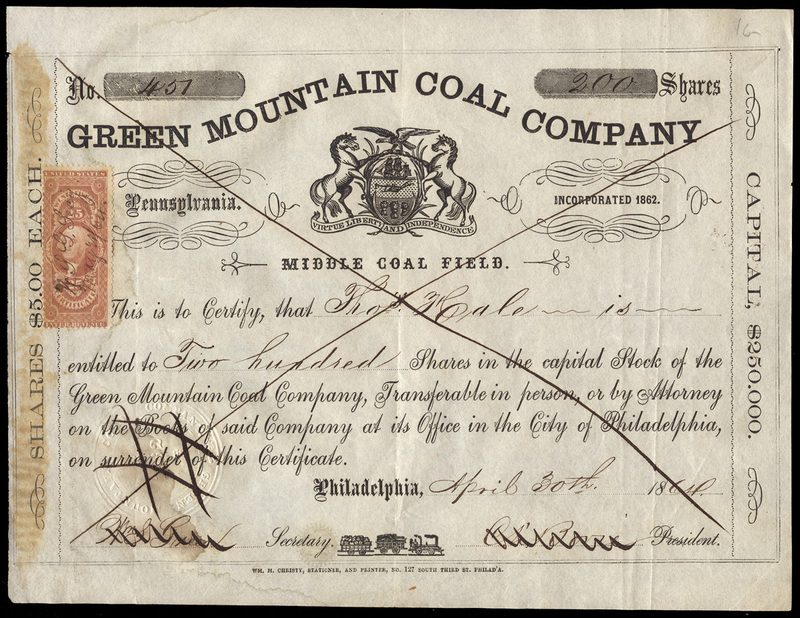 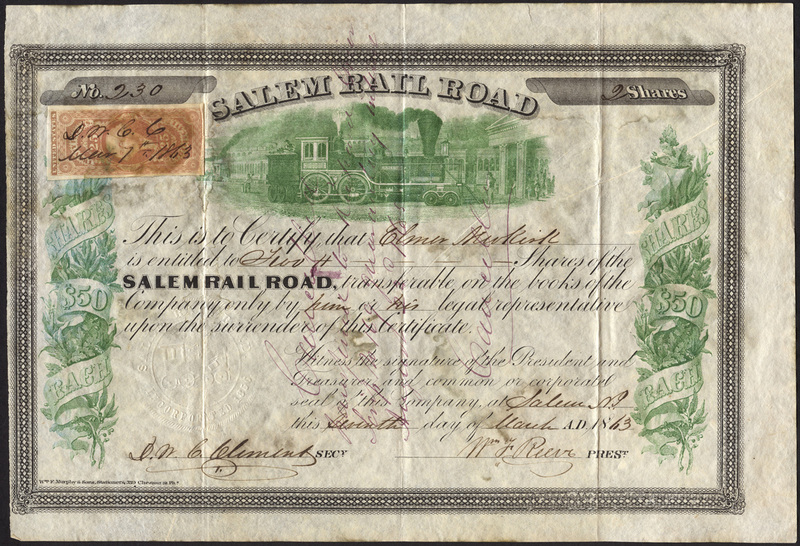 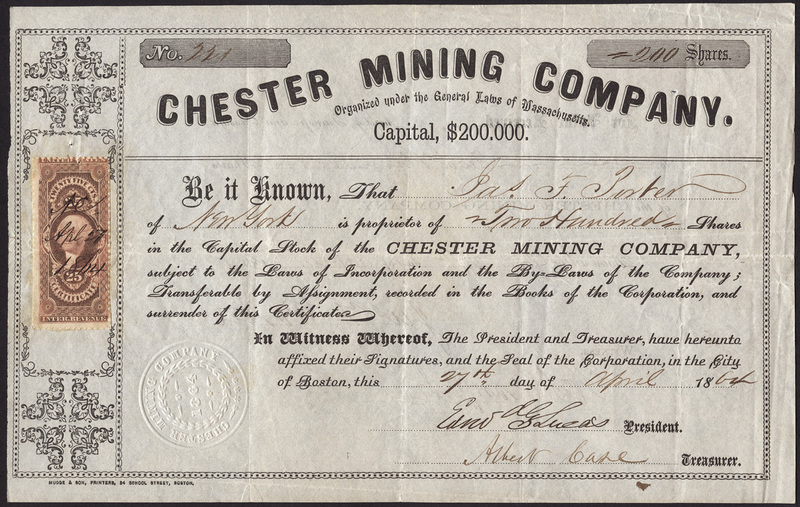 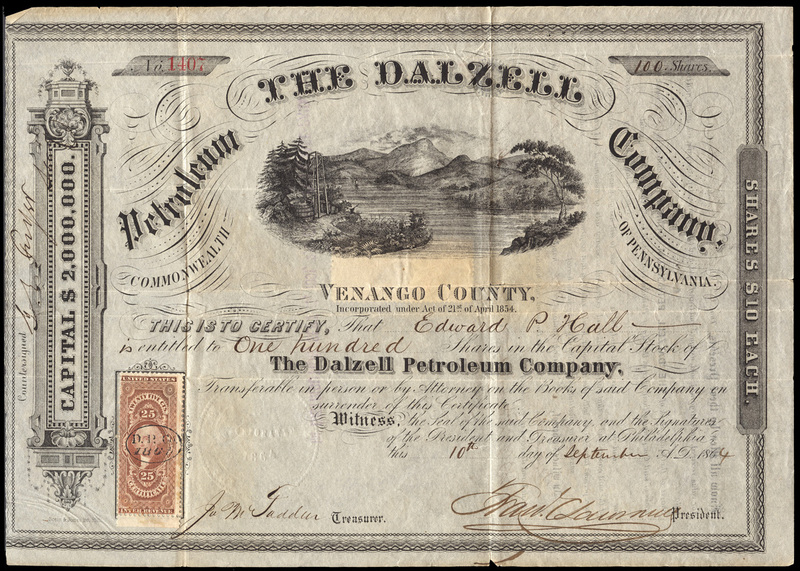 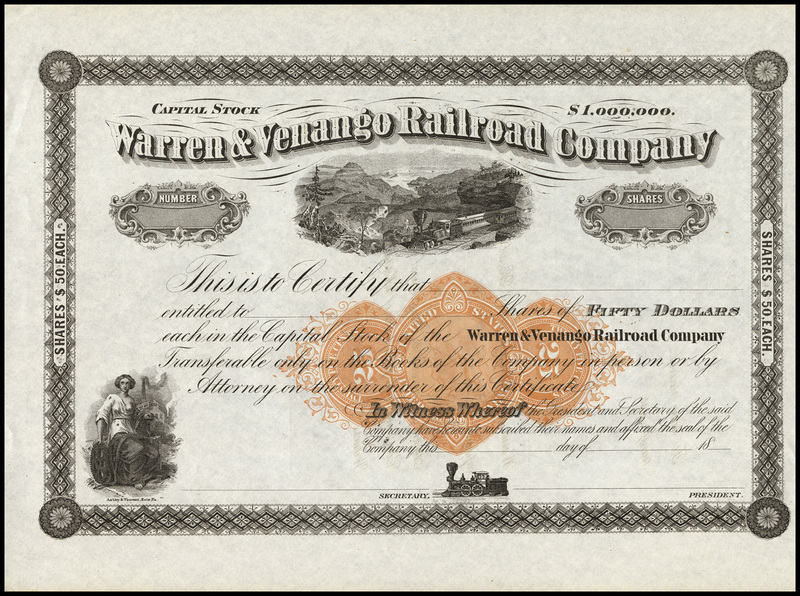 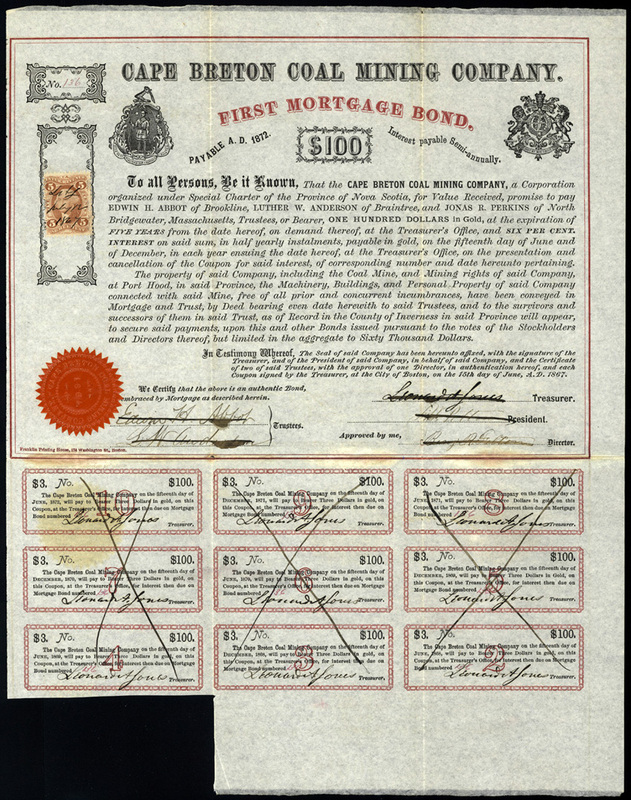 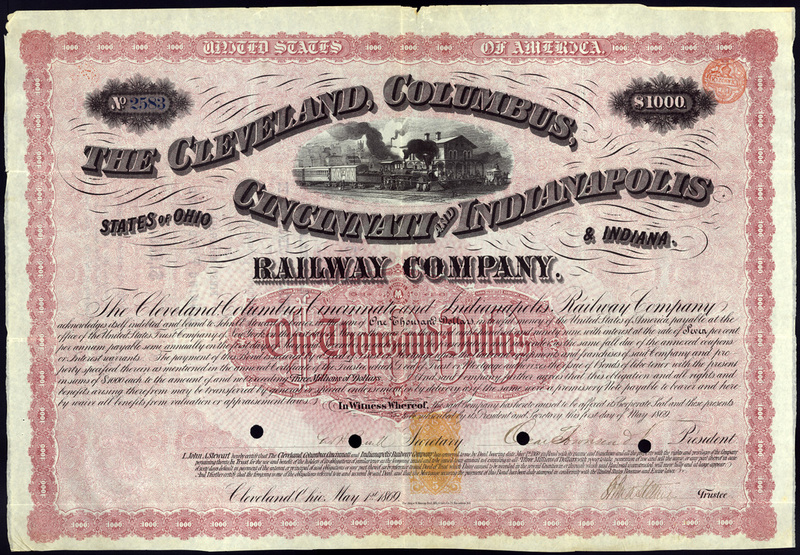 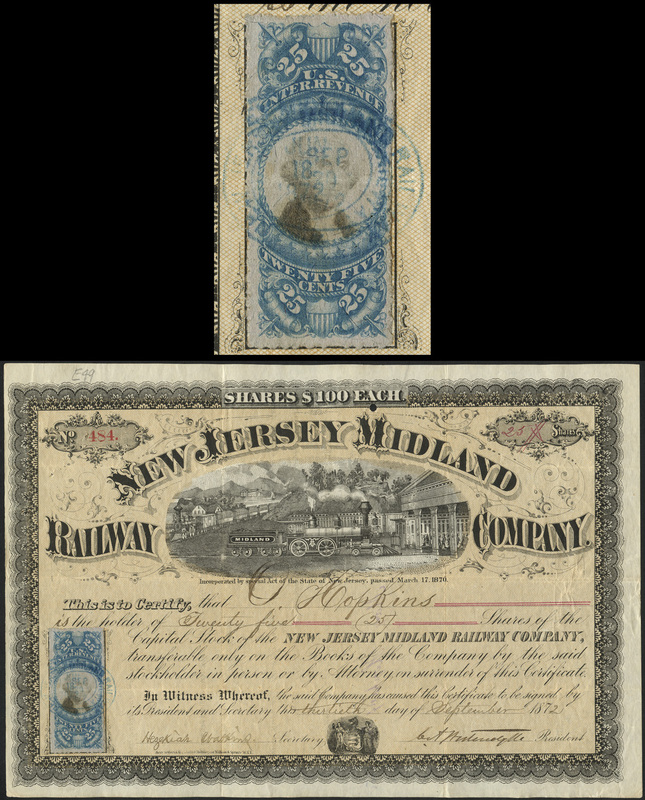 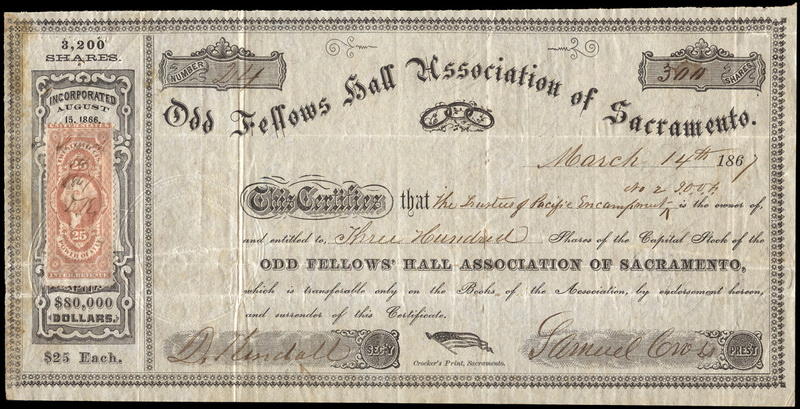 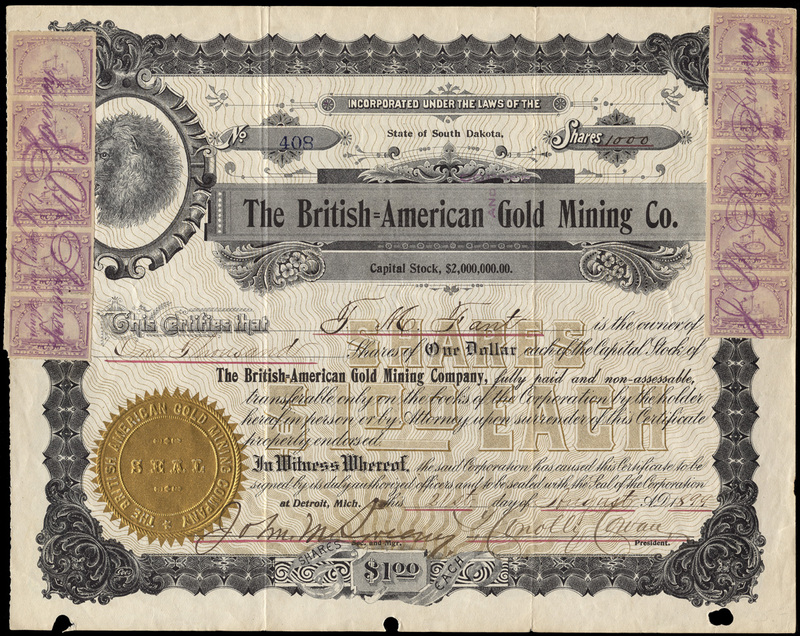 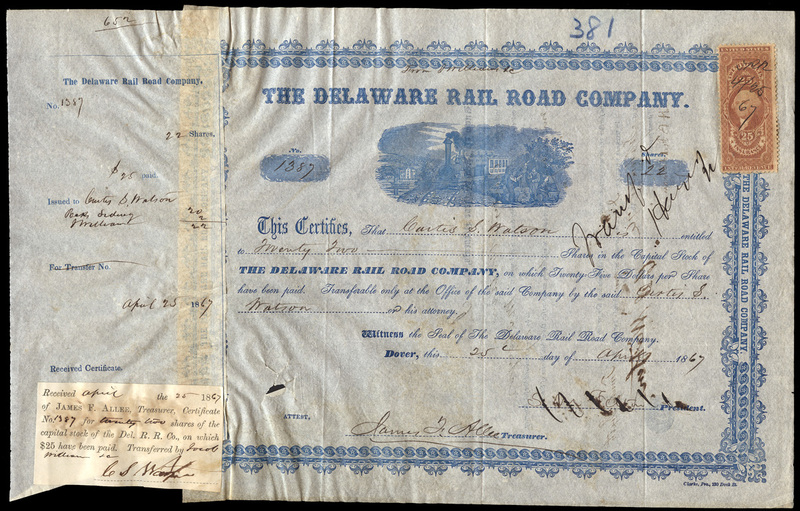 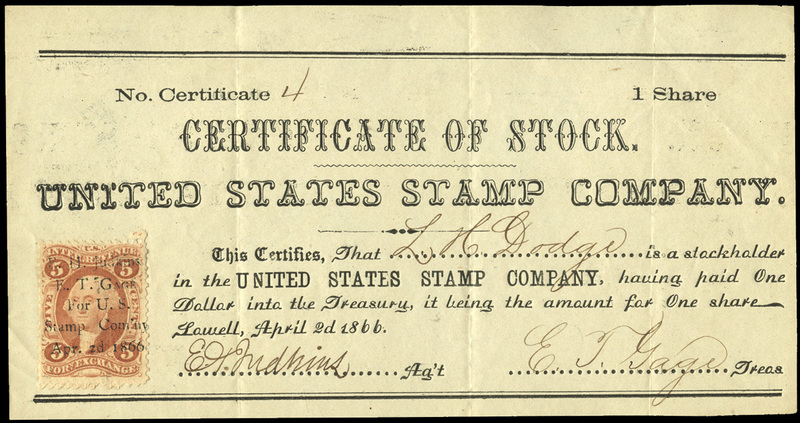 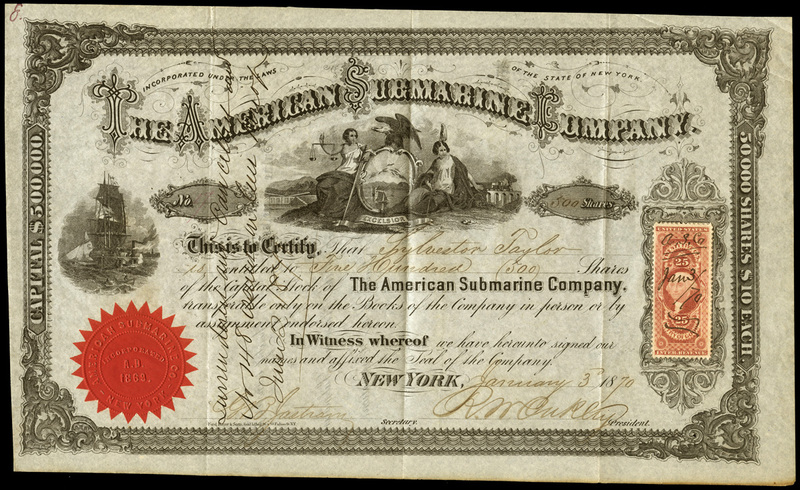 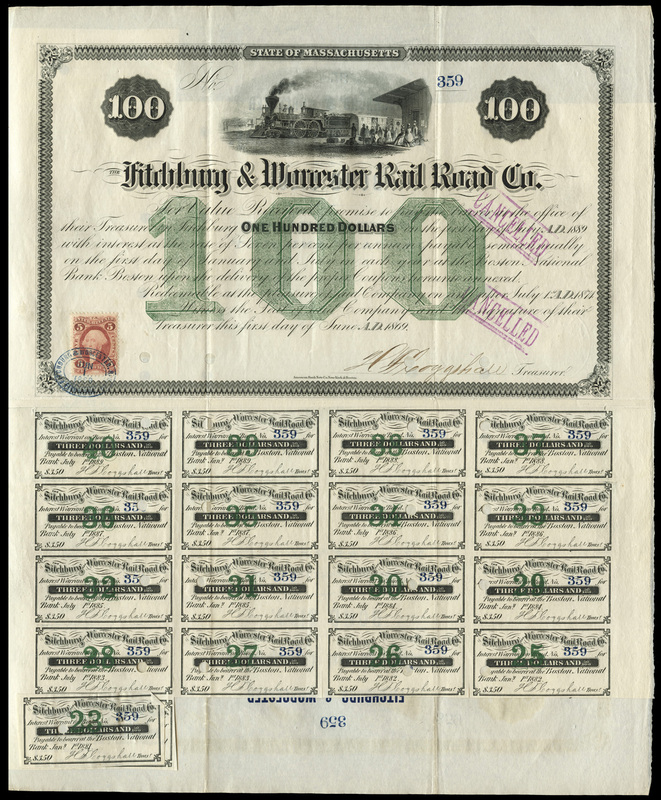 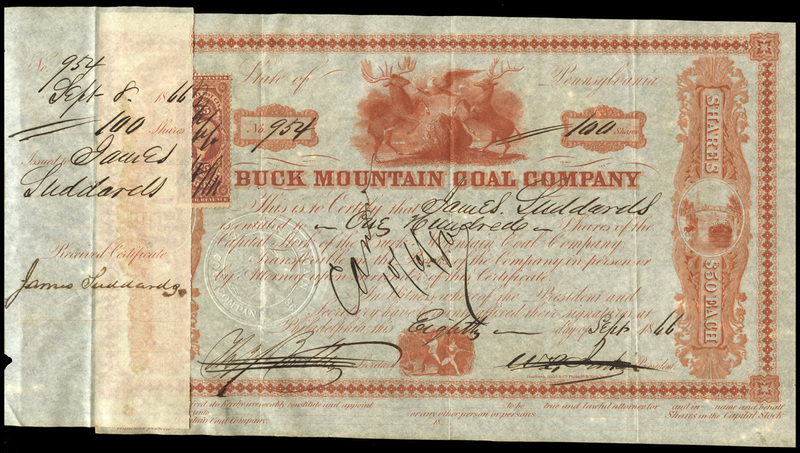 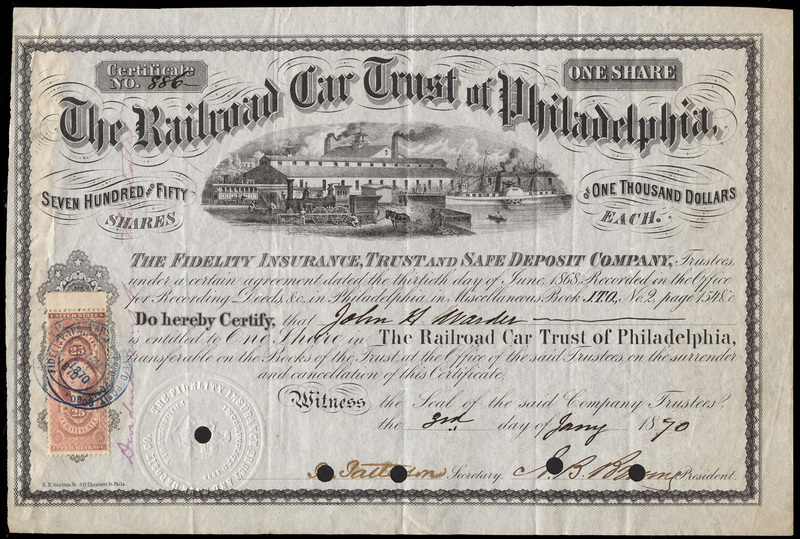 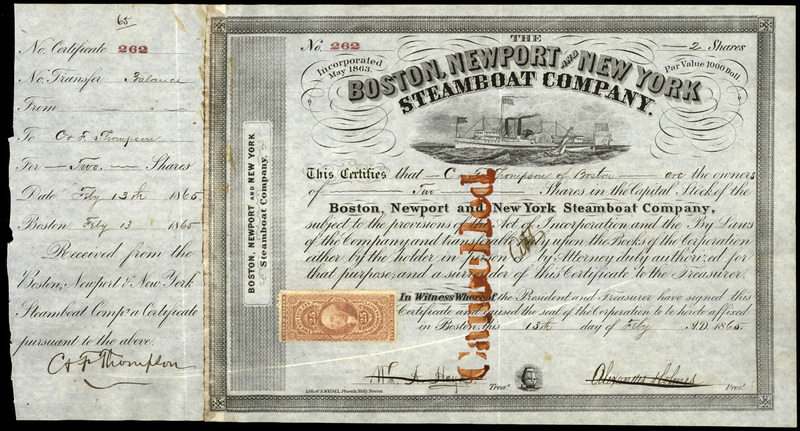 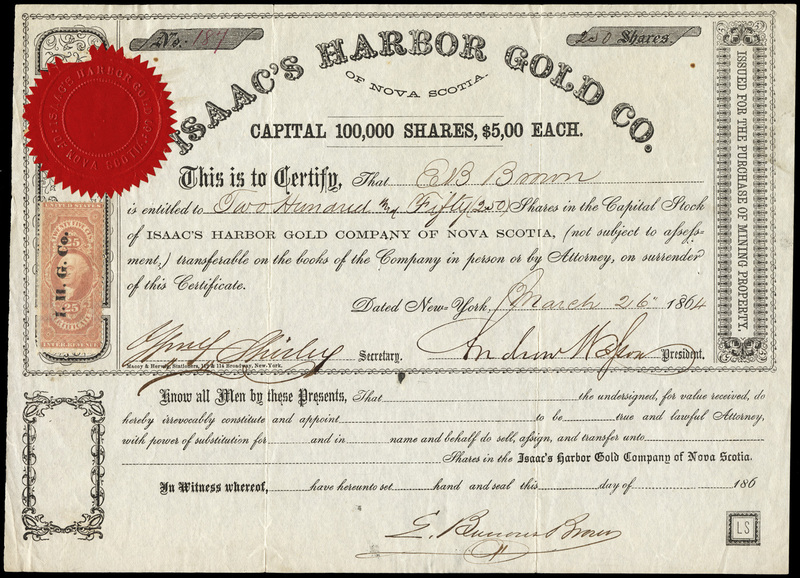 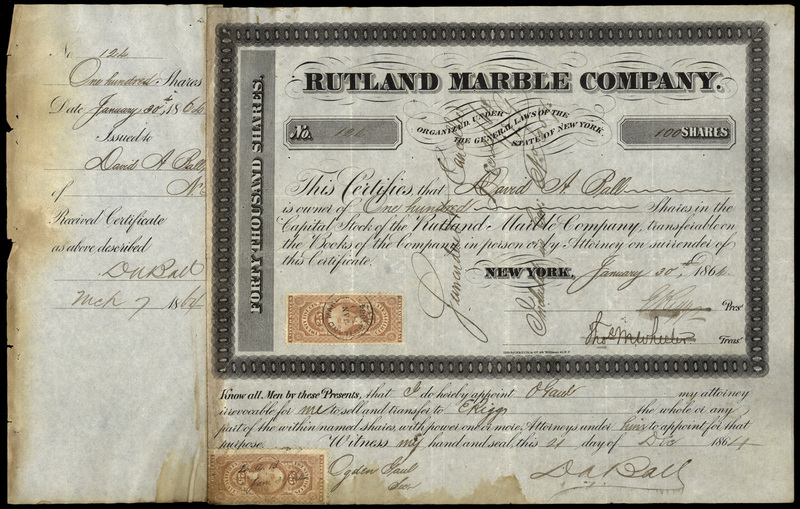 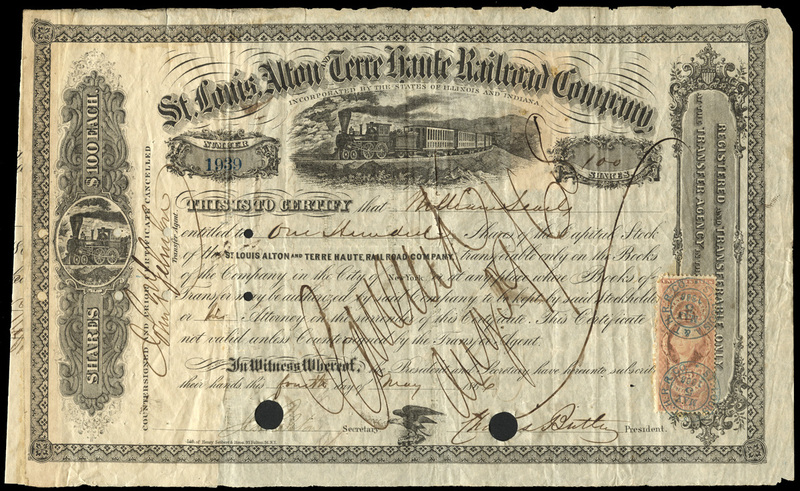 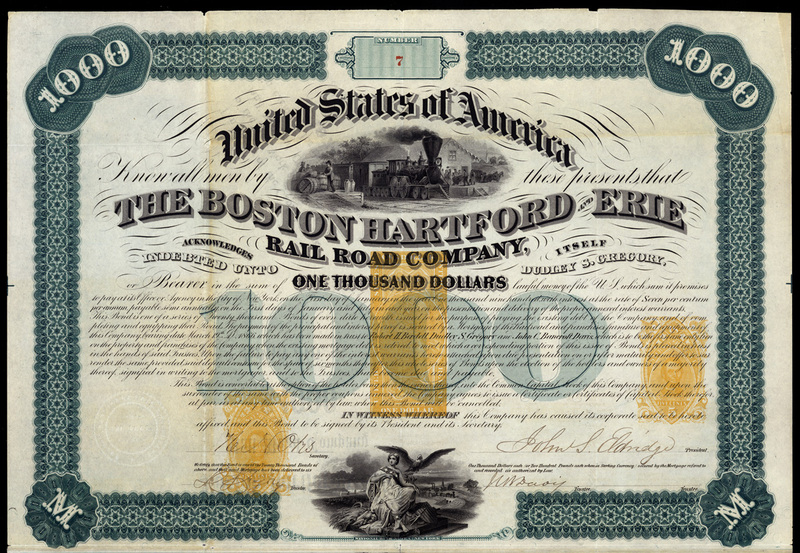 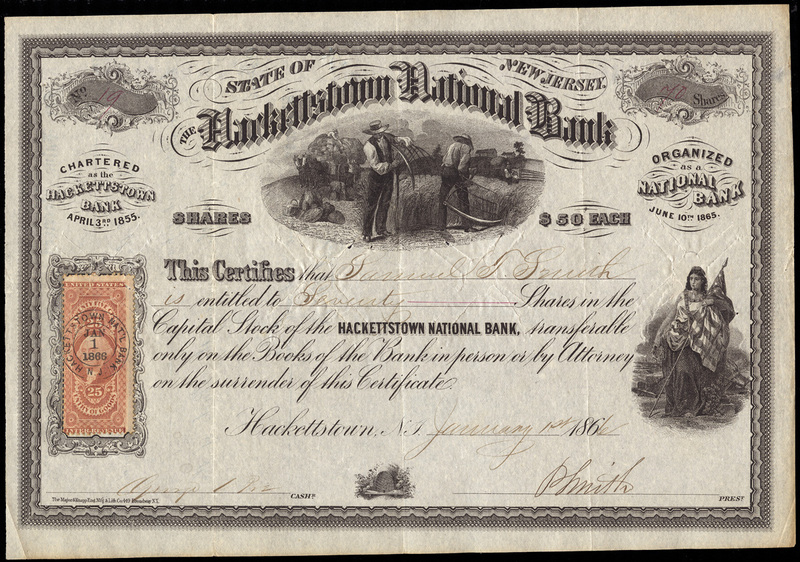 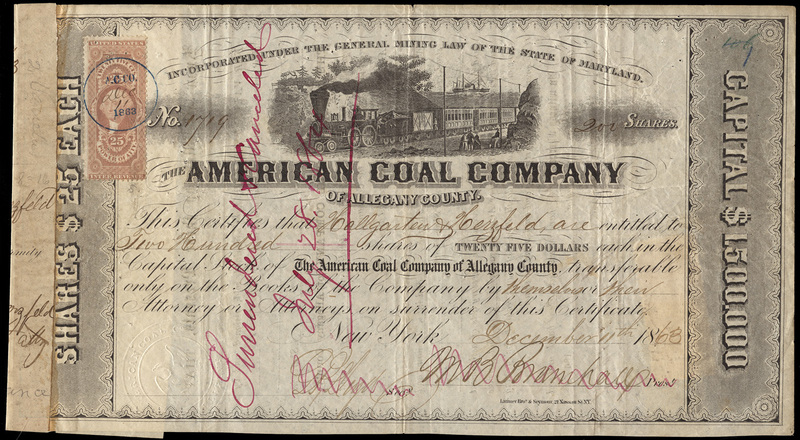 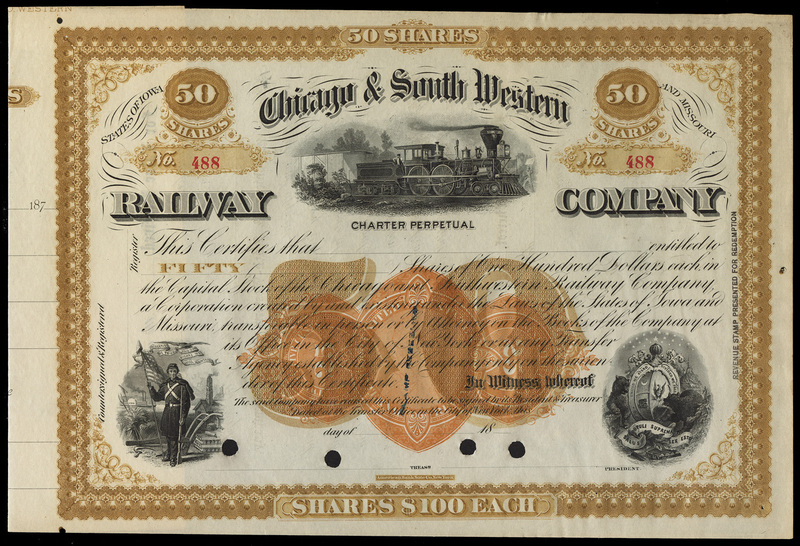 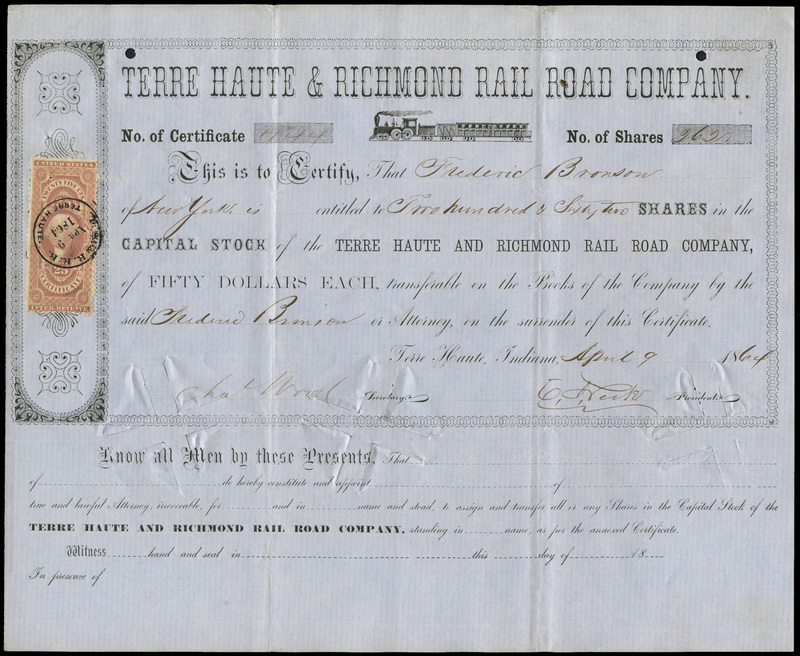 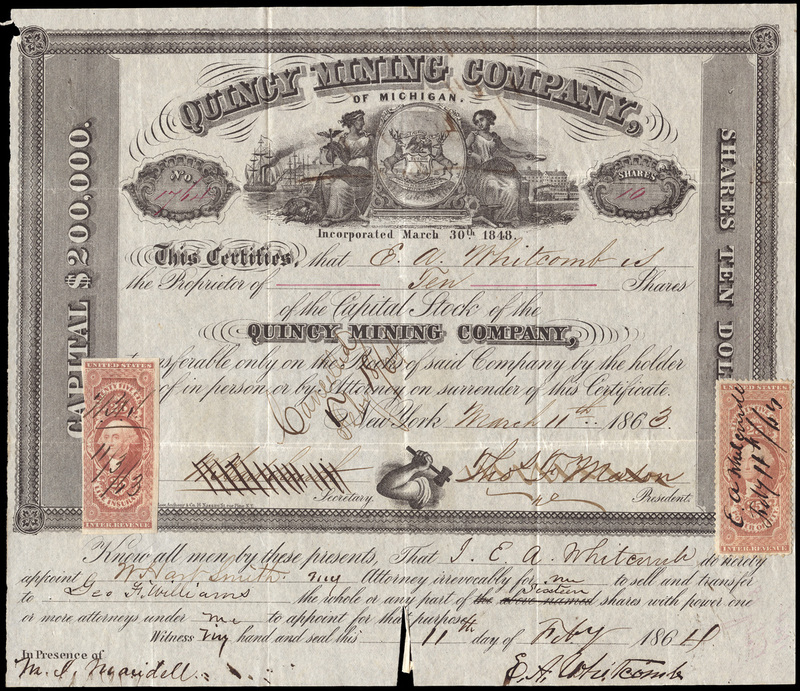 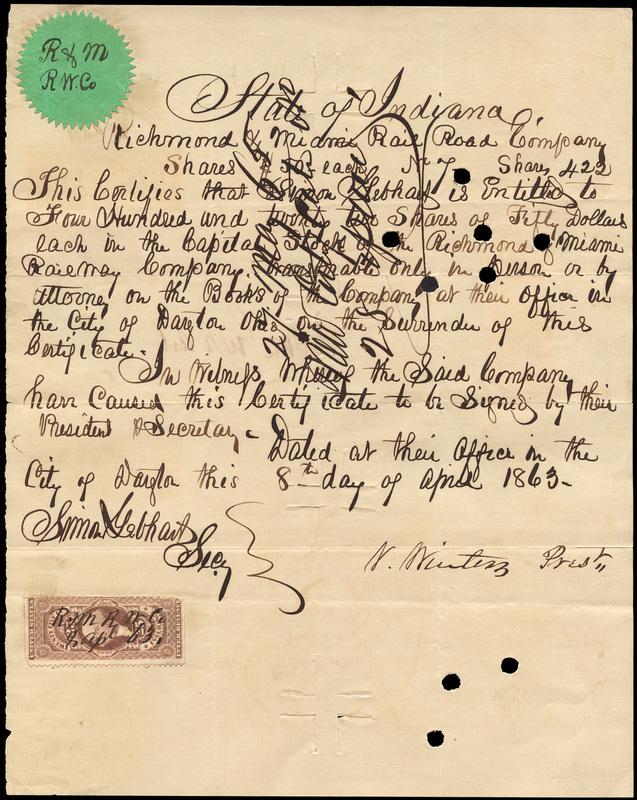 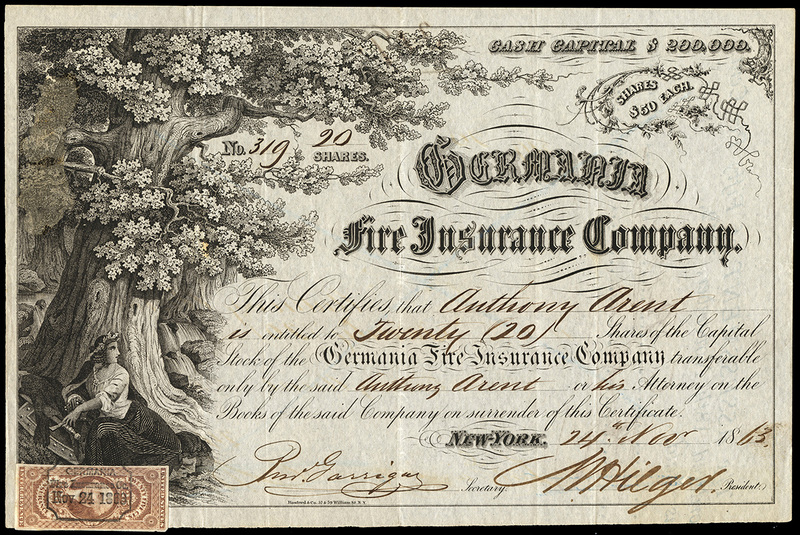 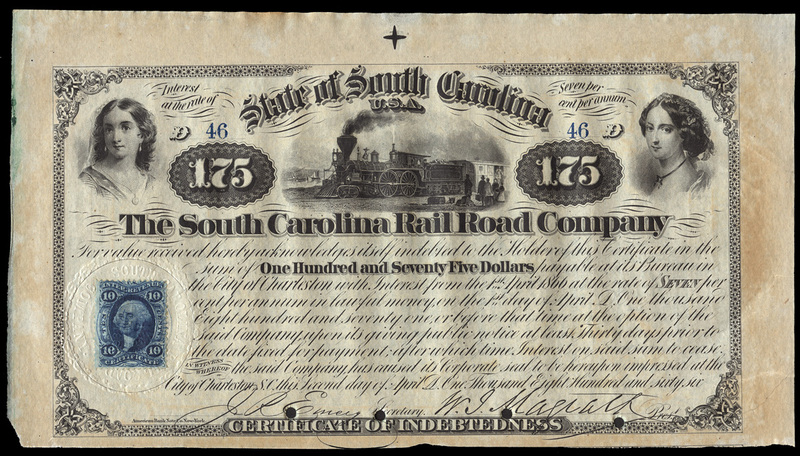 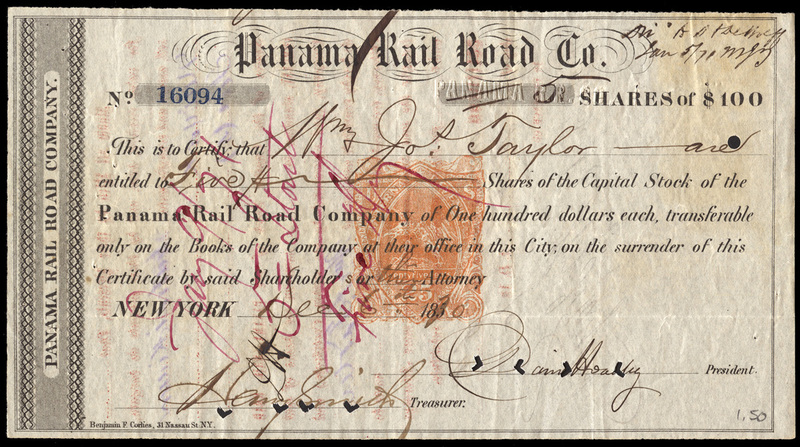 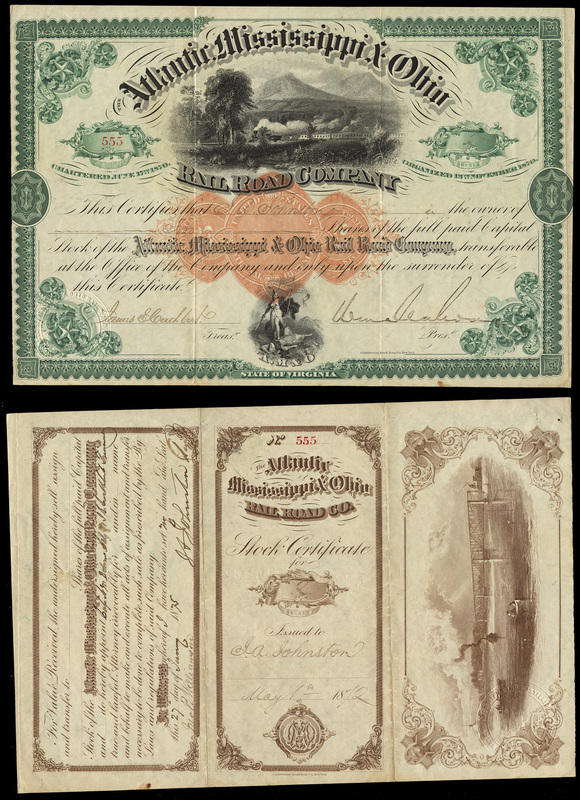 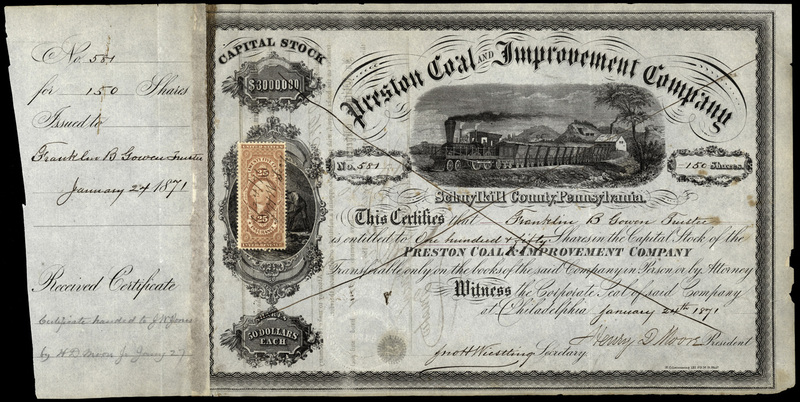 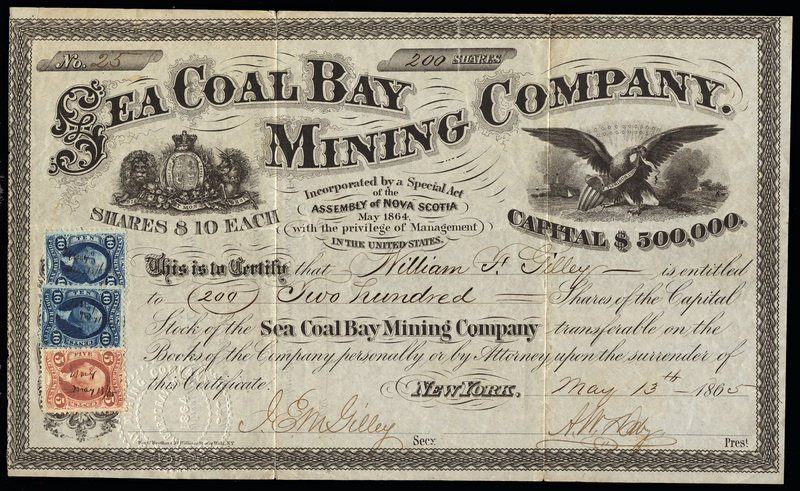 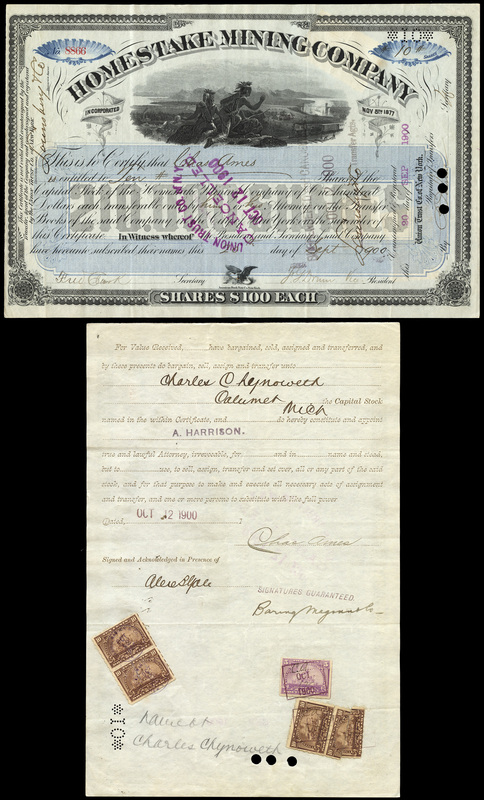 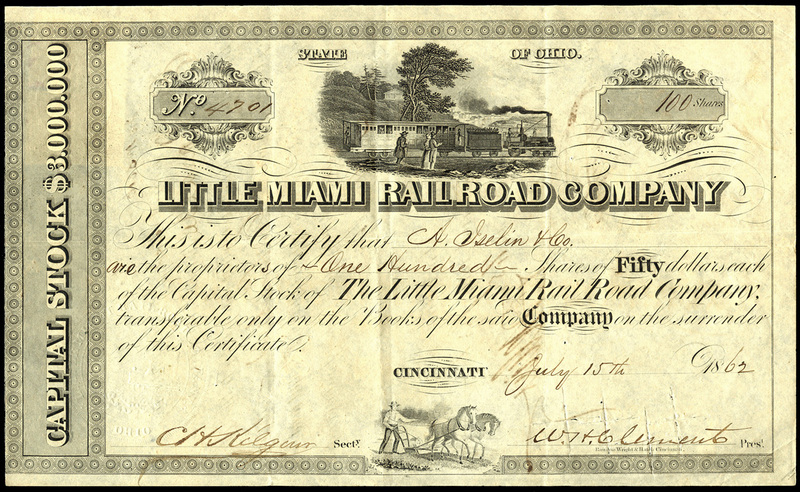 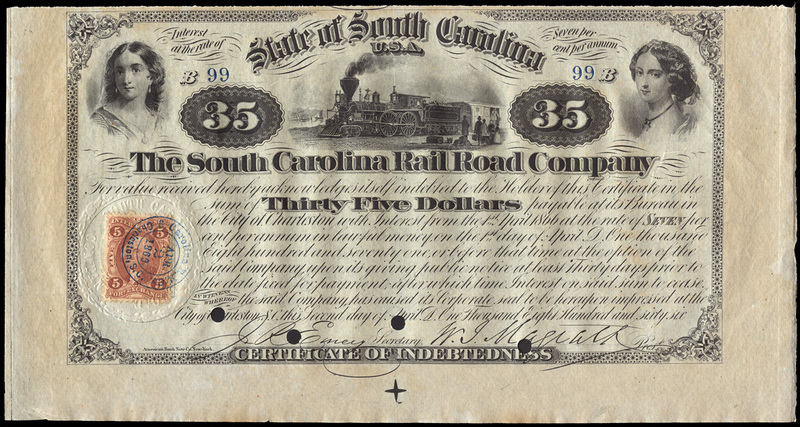 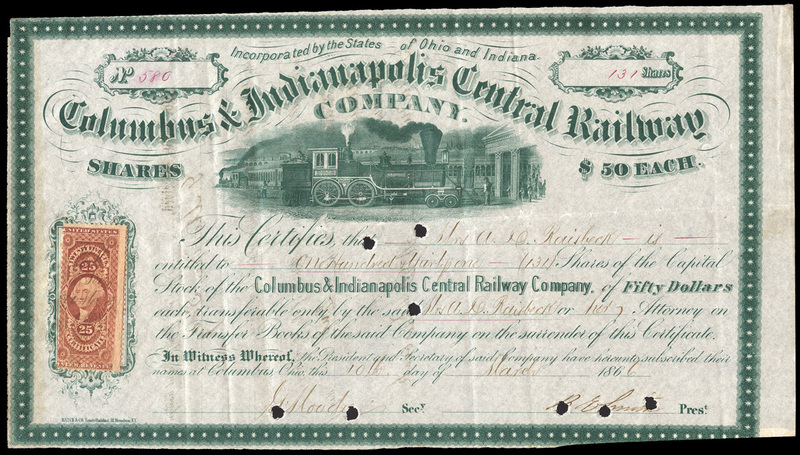 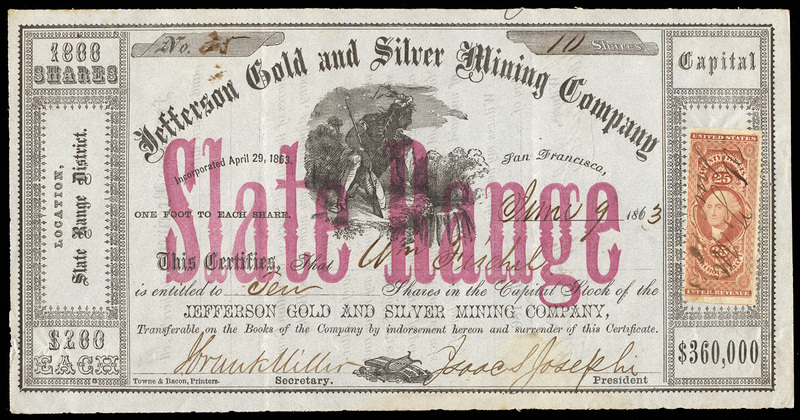 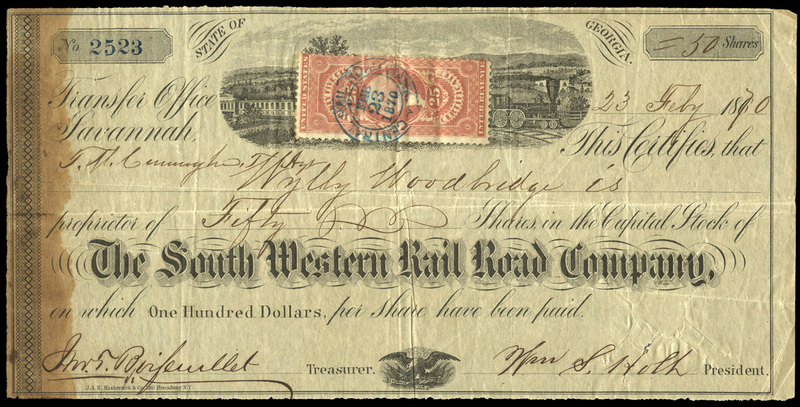 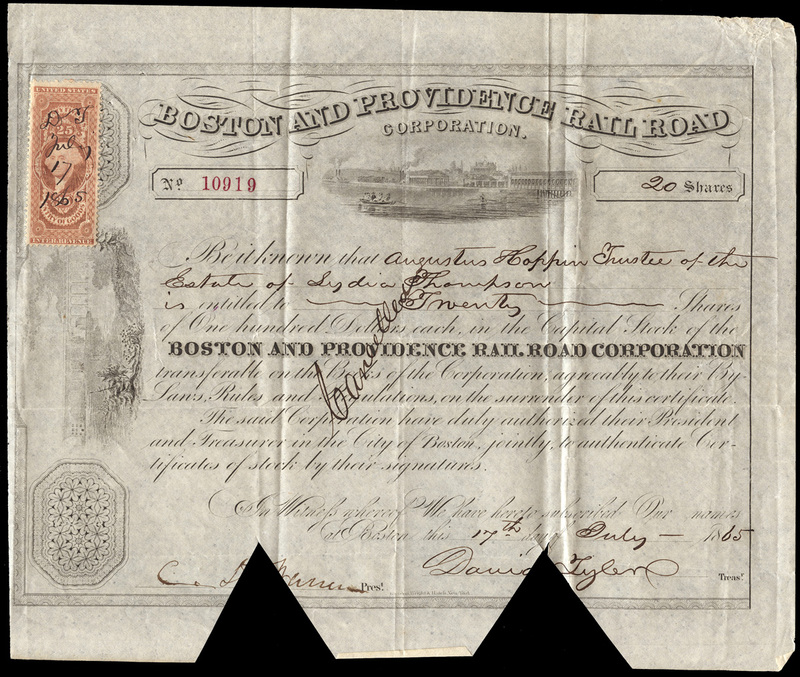 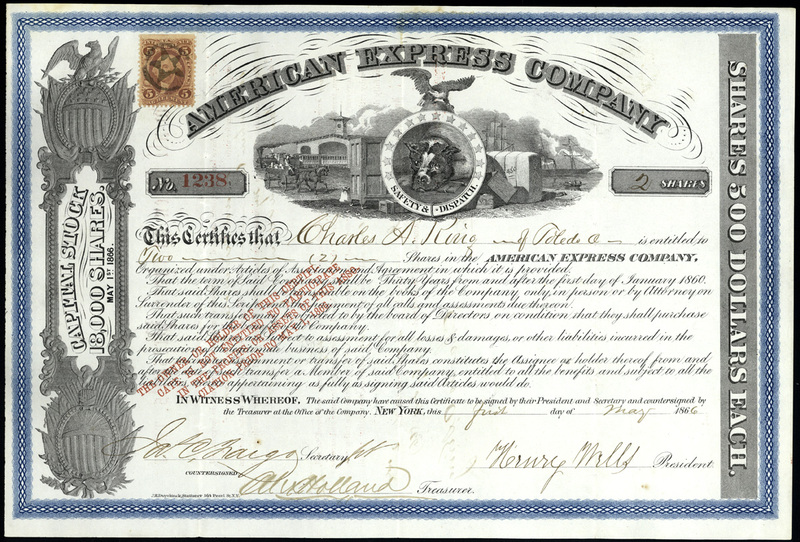 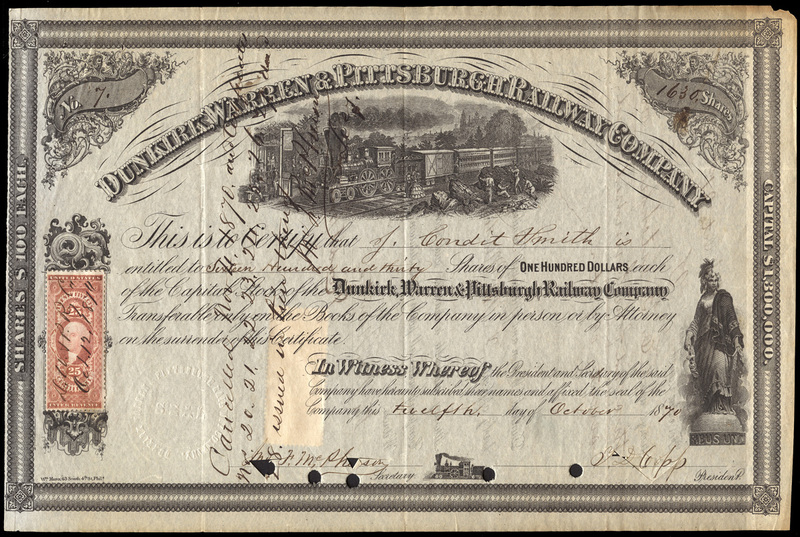 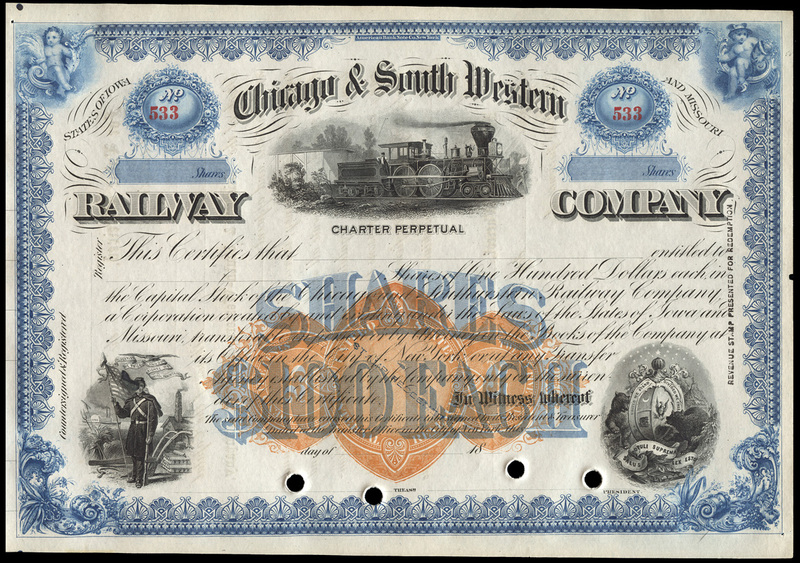 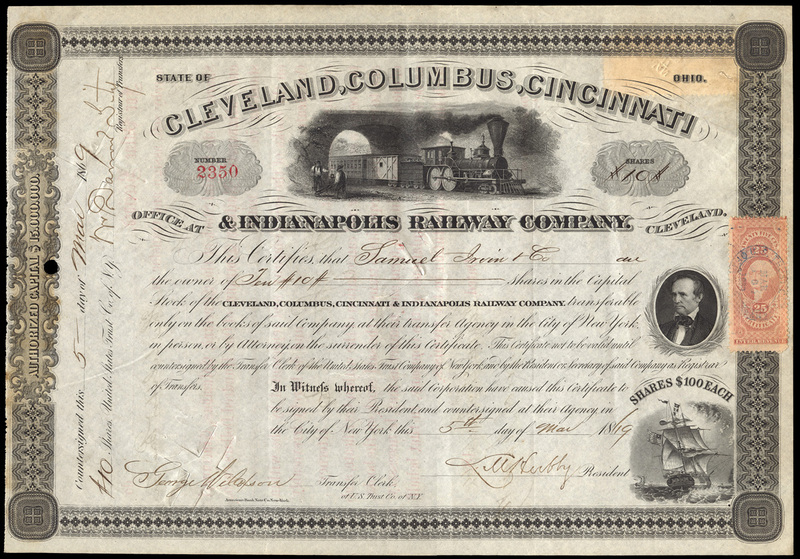 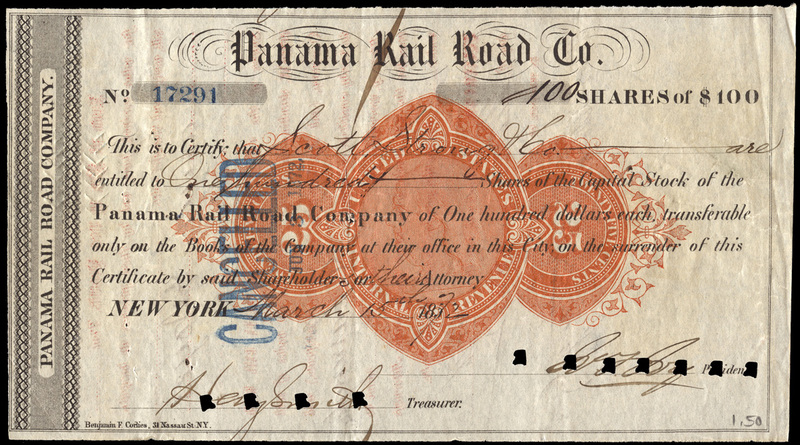 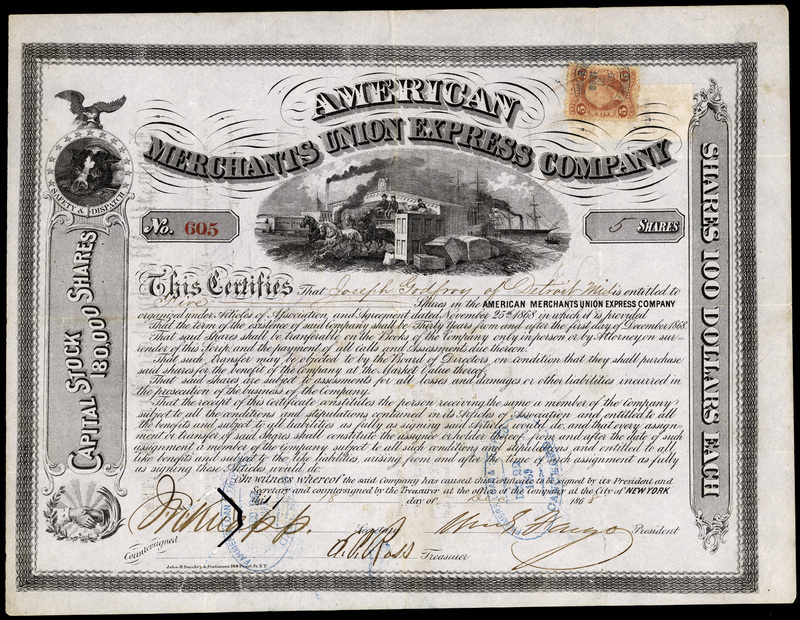 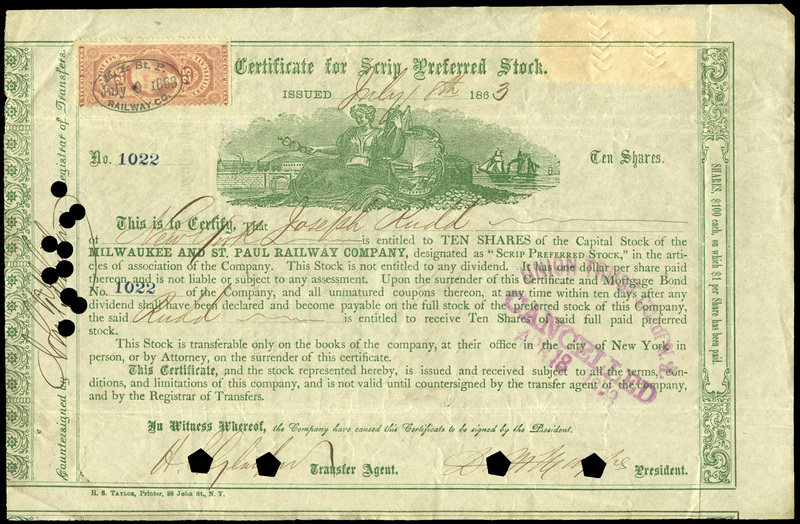 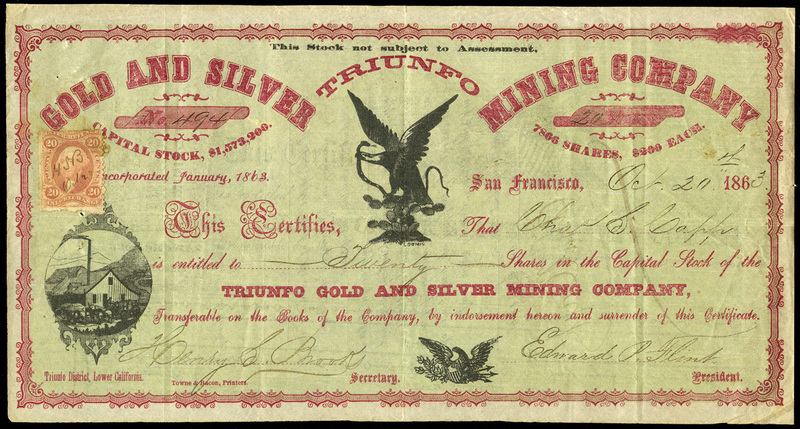 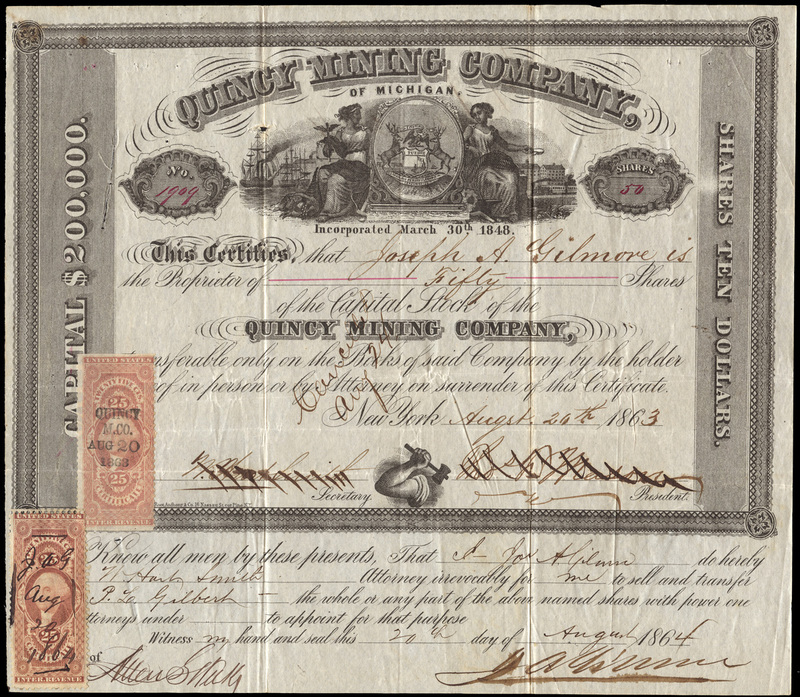 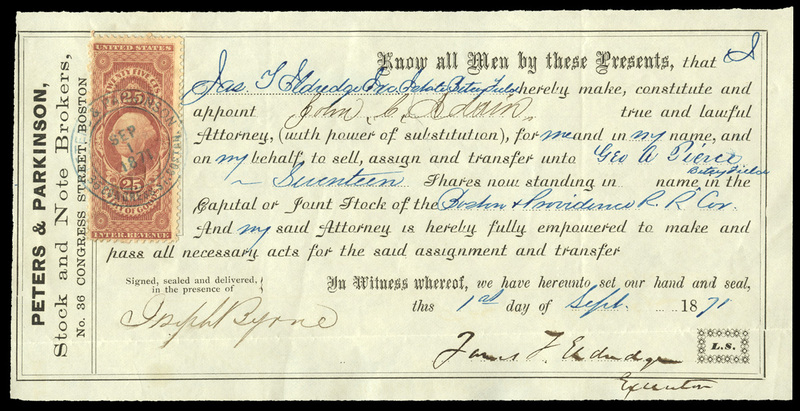 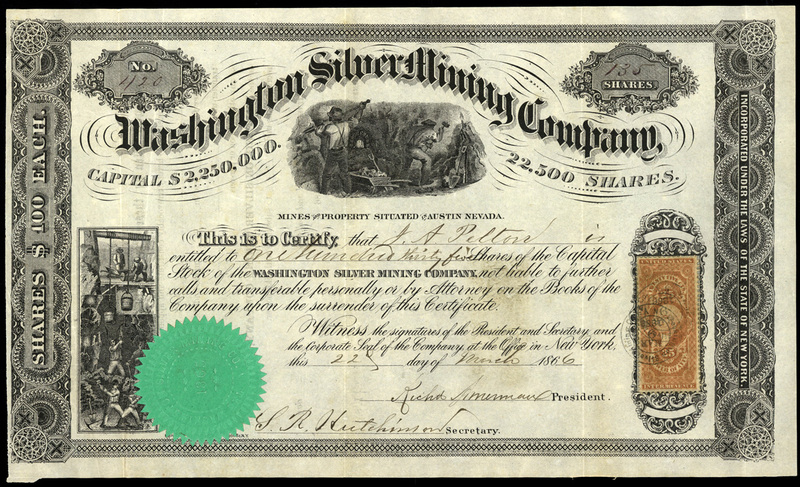 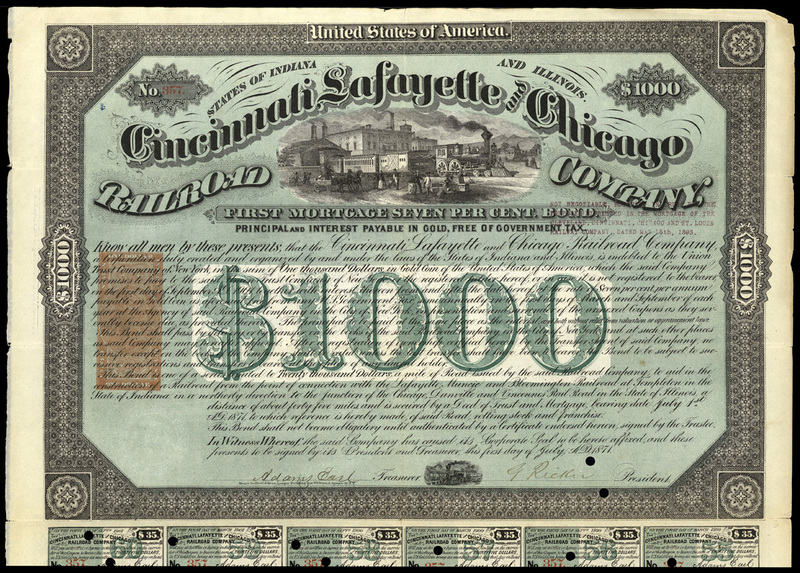 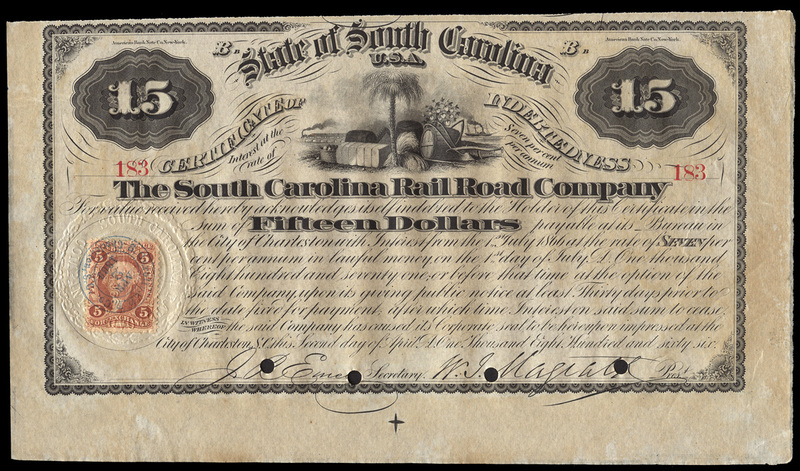 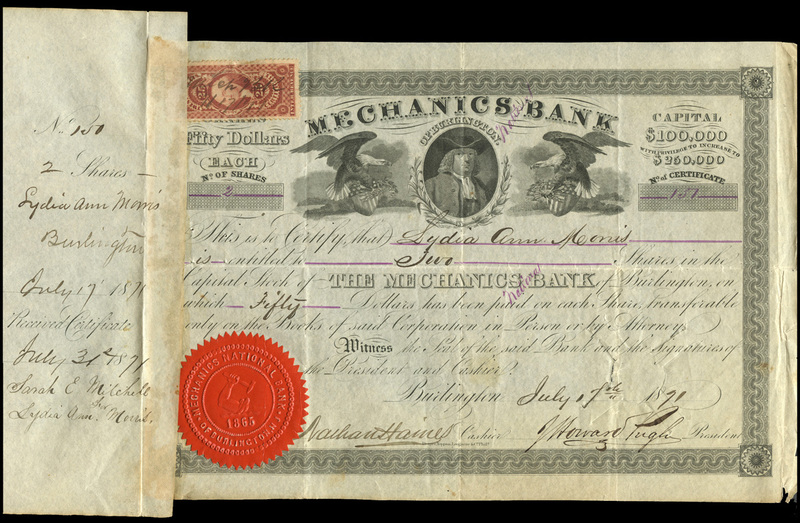 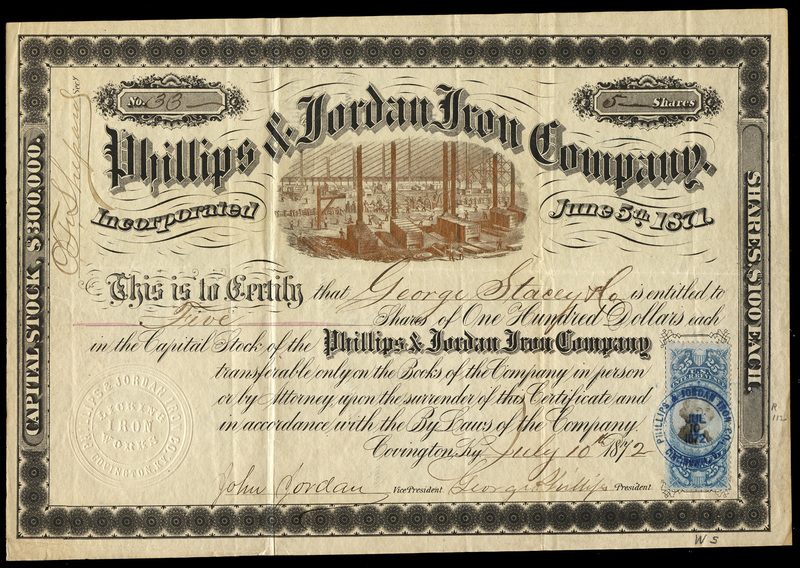 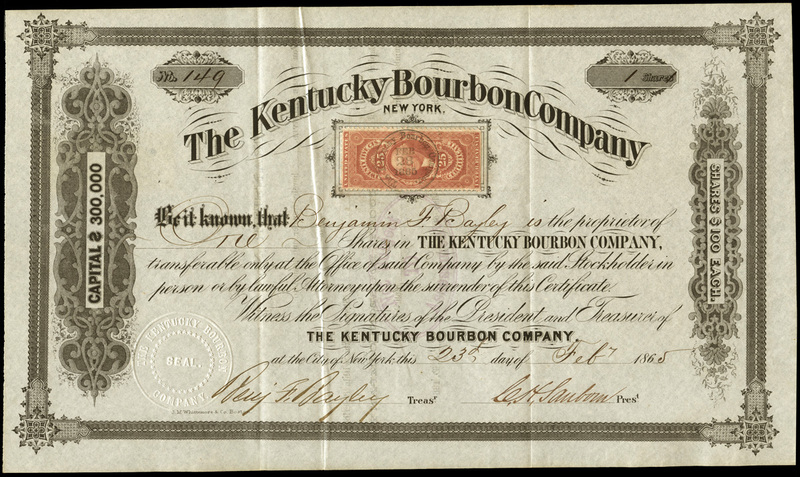 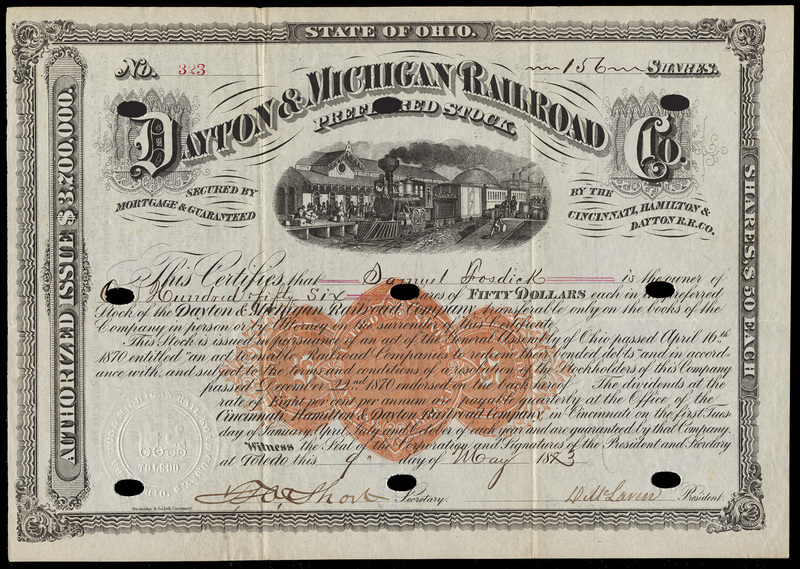 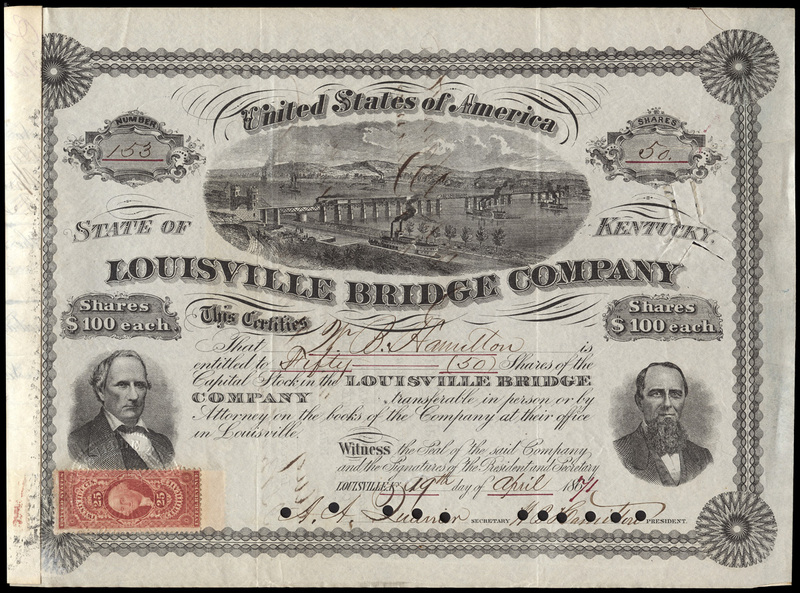 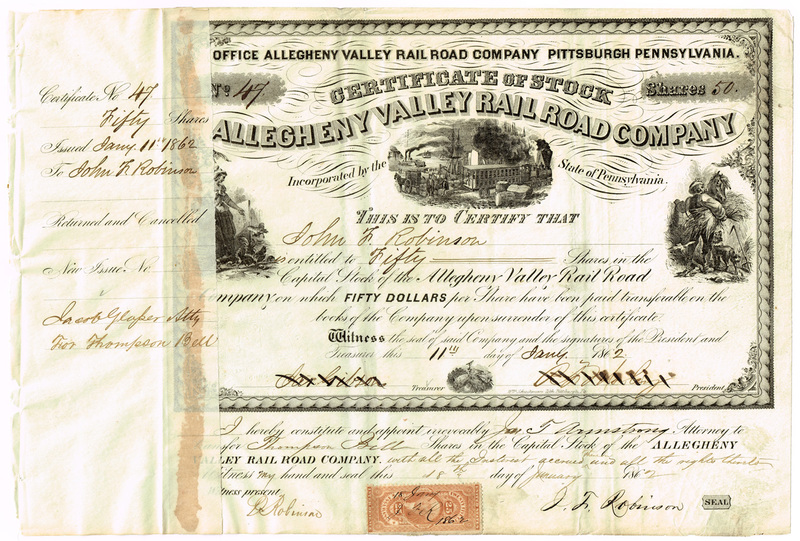 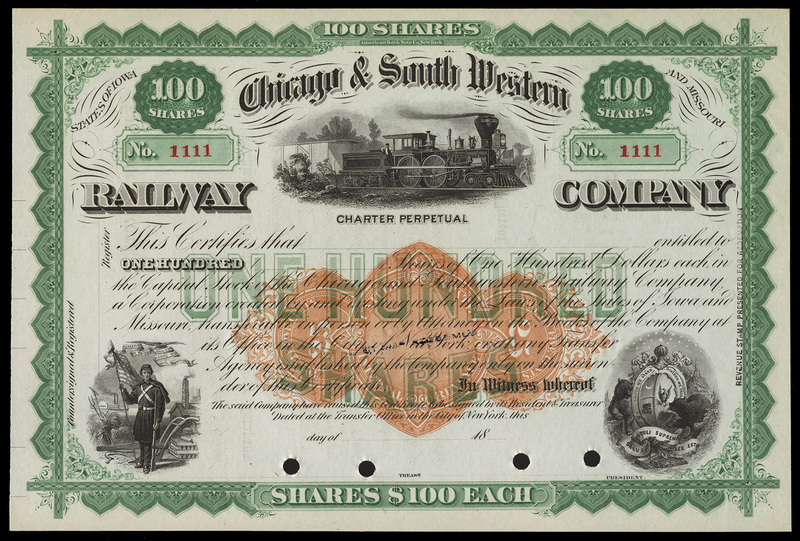 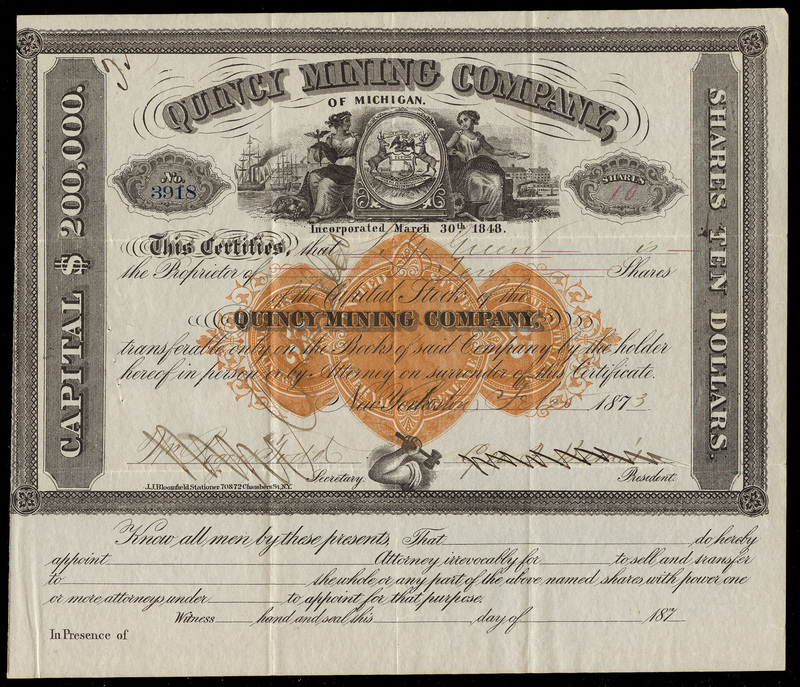 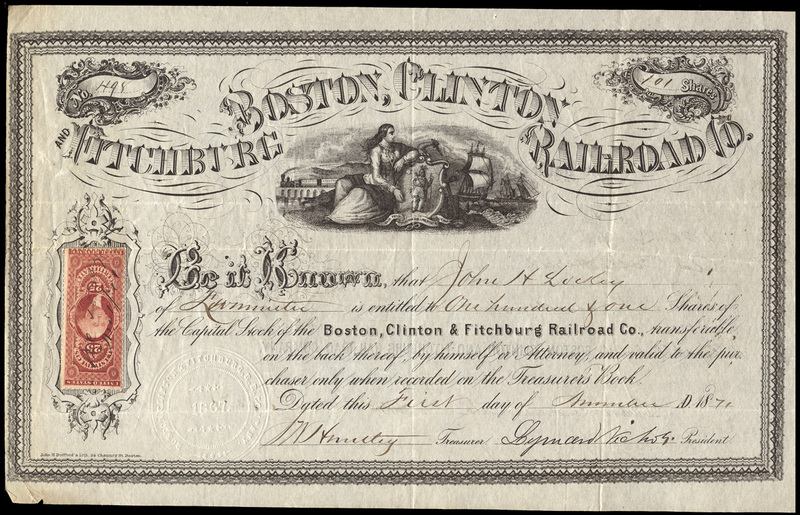 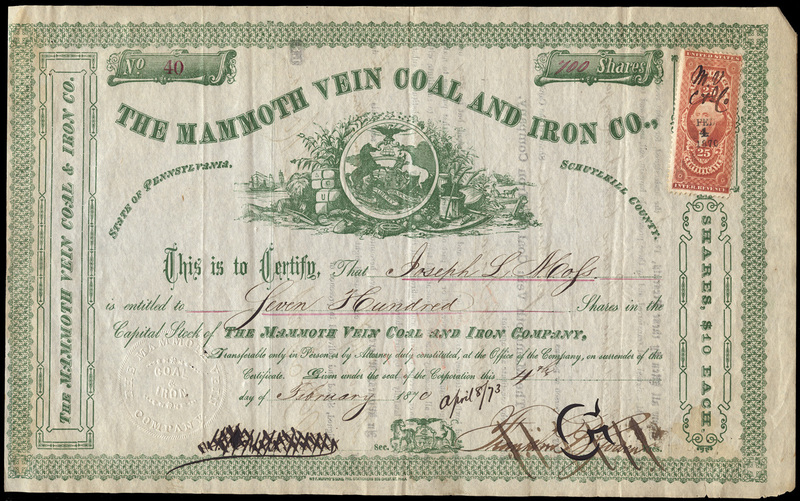 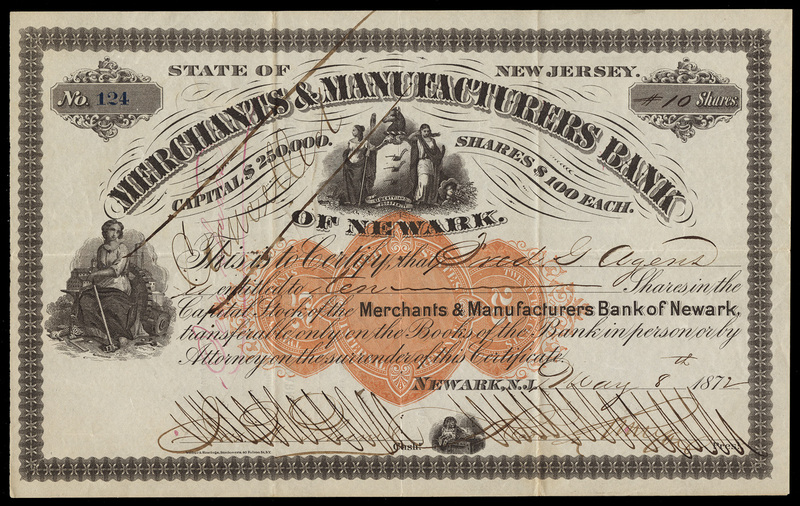 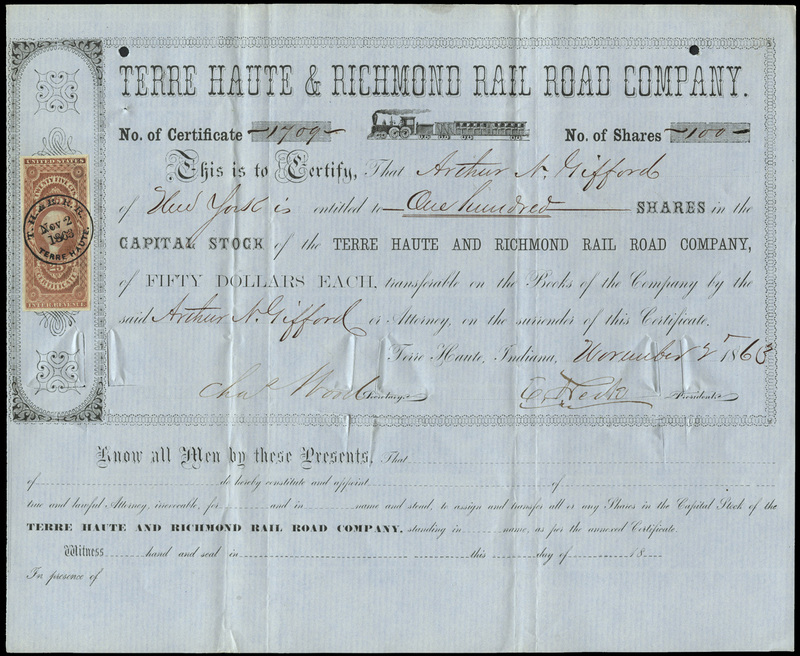 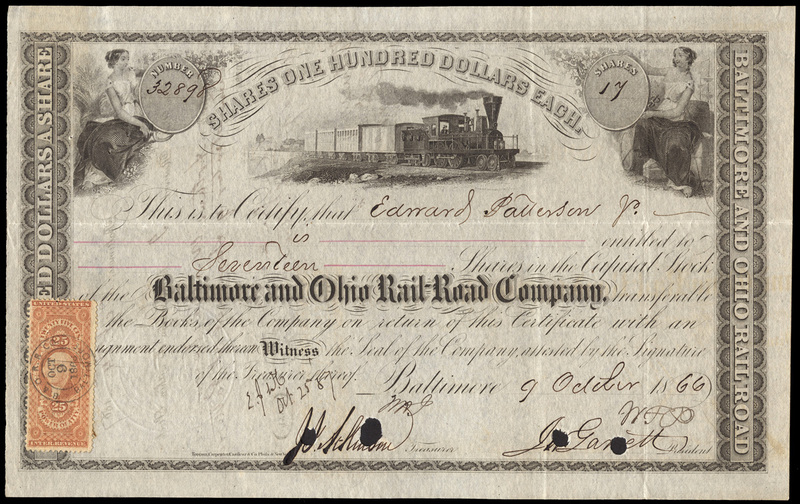 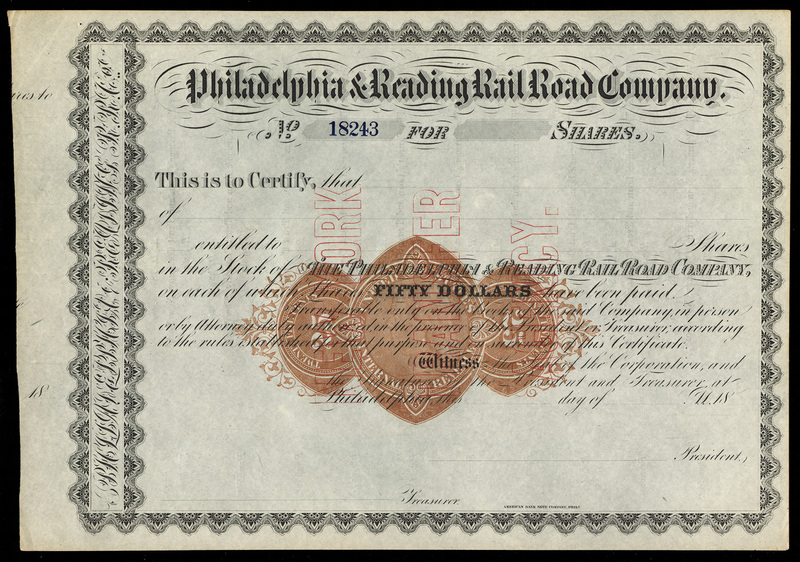 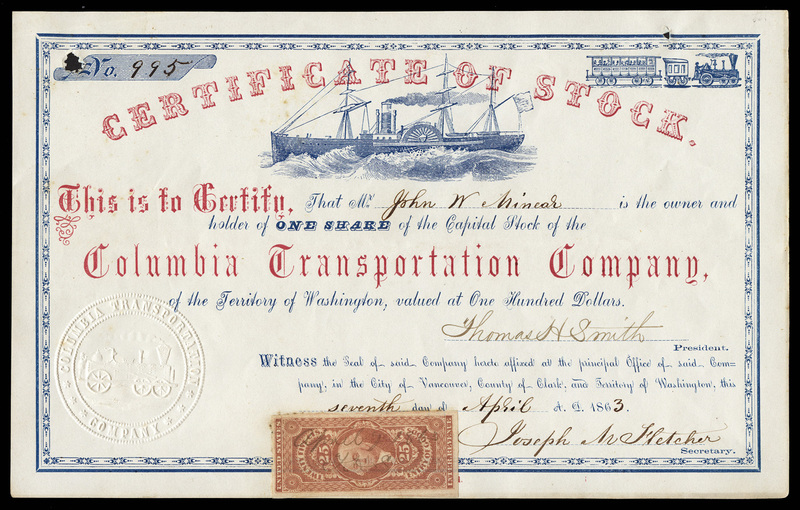 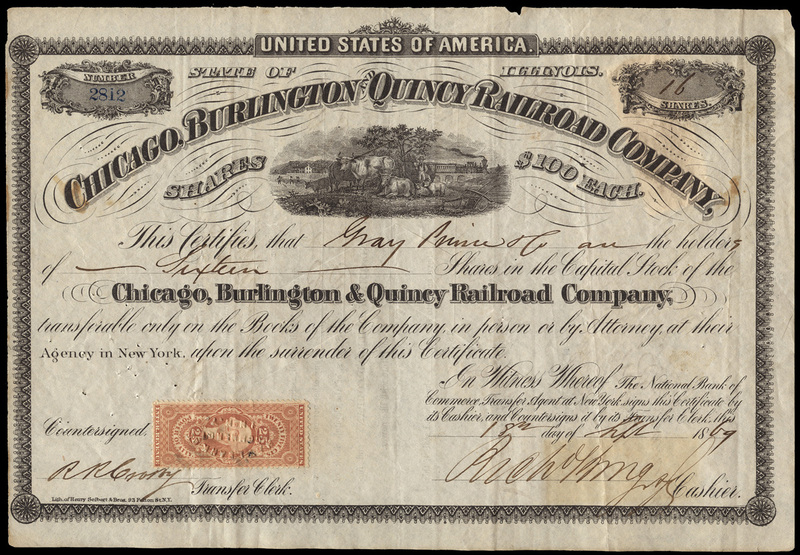 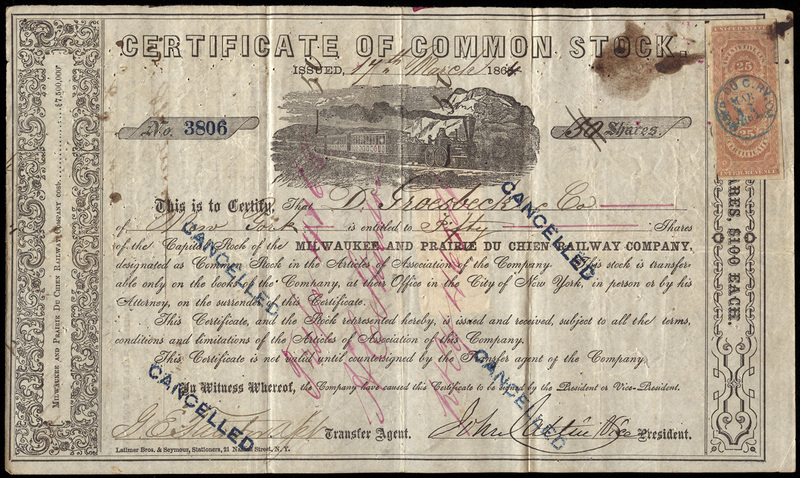 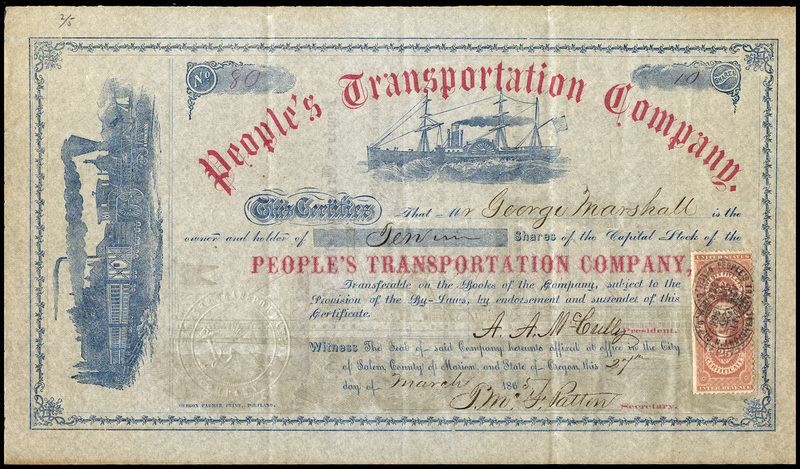 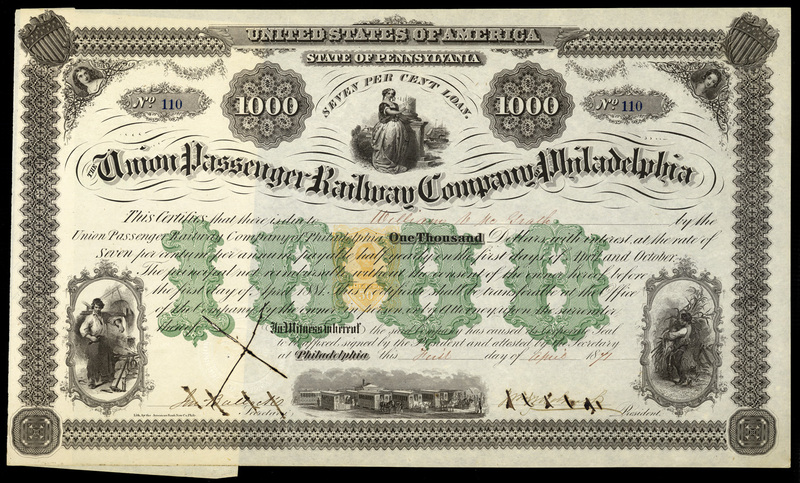 Stock certificates and bonds frequently make for a wonderful aesthetic extension of revenue stamp collecting, as many are ornately drawn or engraved, and some of the company names and images are very interesting. 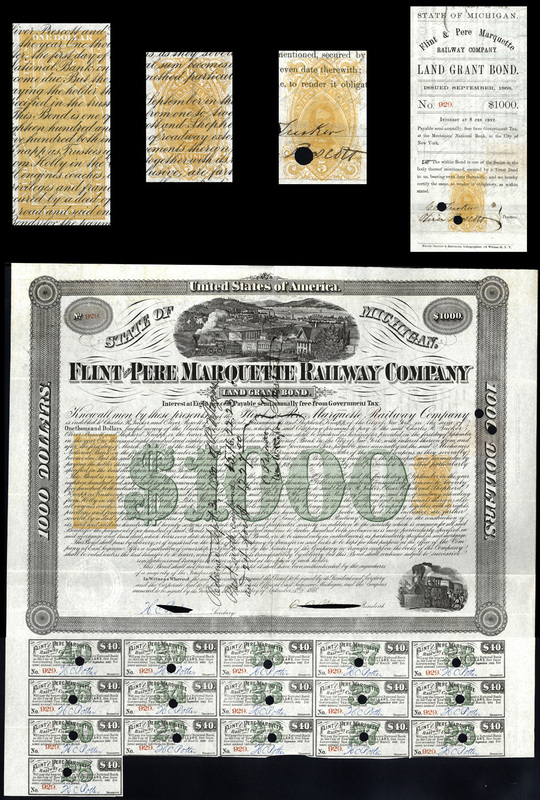 Click on any image below to pop up a window with more information and a zoomable high-resolution image. 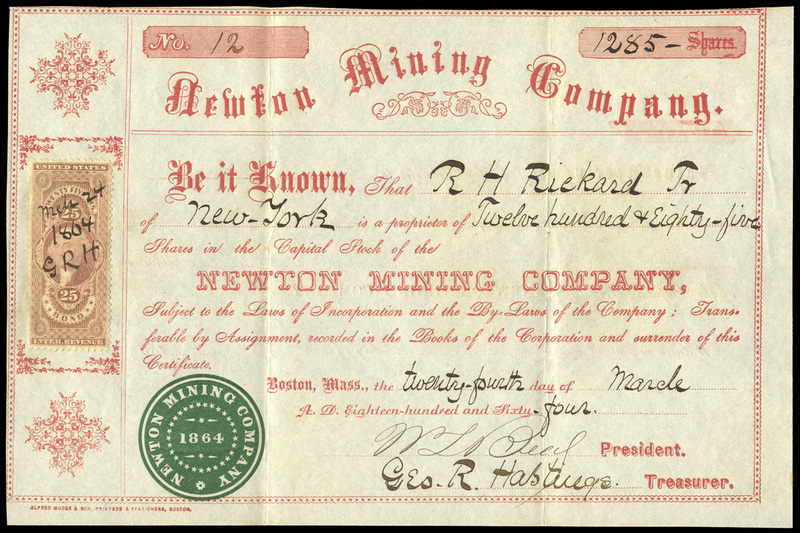 Boston, Newport and New York Steamboat Co.
Eliza Mill and Mining Co.
Jefferson Gold and Silver Mining Co.
Phillips & Jordan Iron Co.
Triunfo Gold and Silver Mining Co.